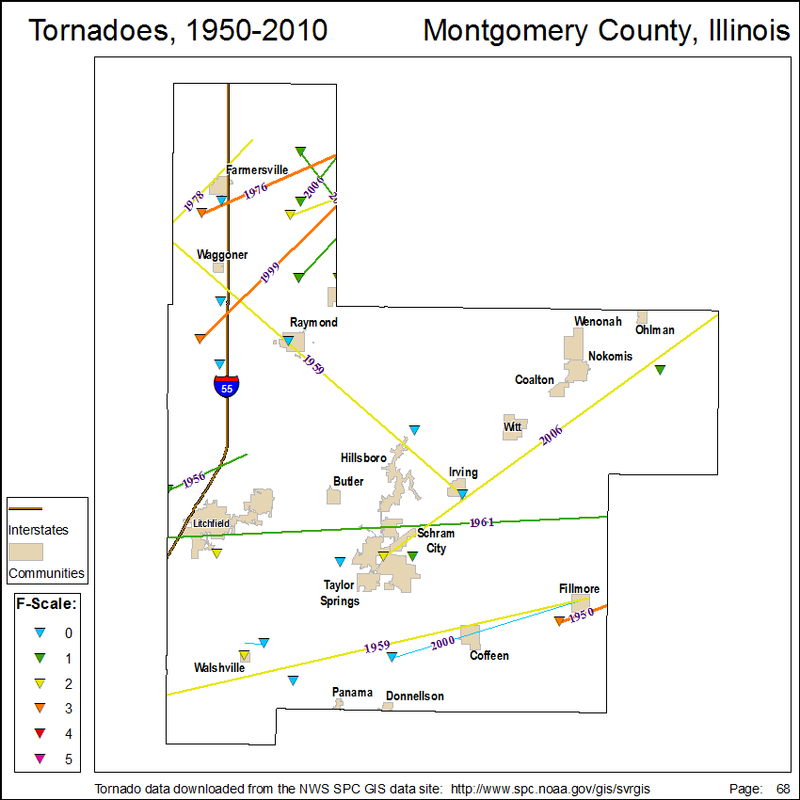 Tornadoes frequently occur in Illinois with numbers that are comparable to those in "tornado alley" in the Great Plains. 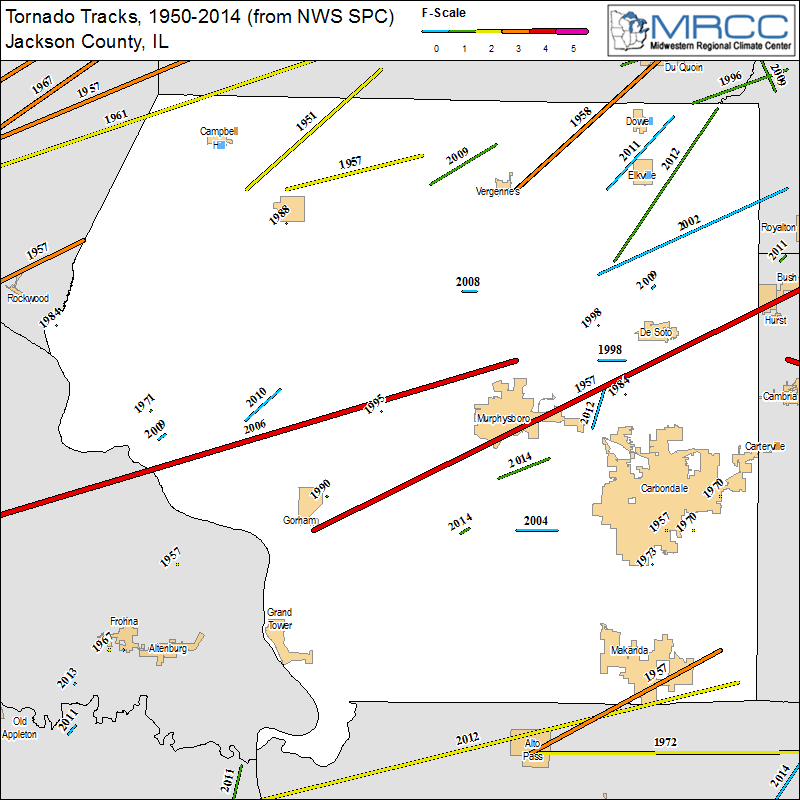 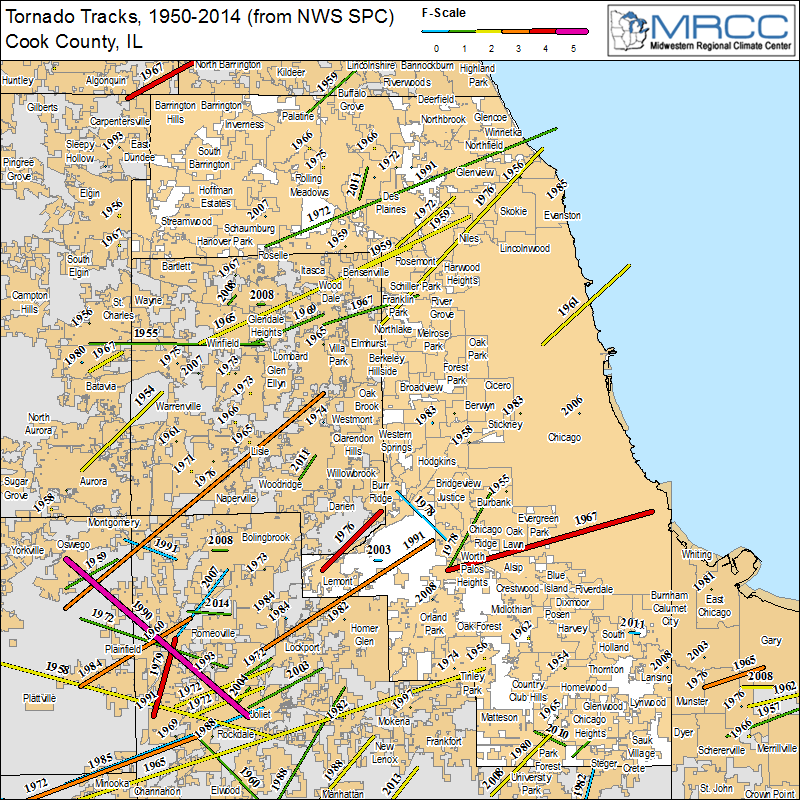 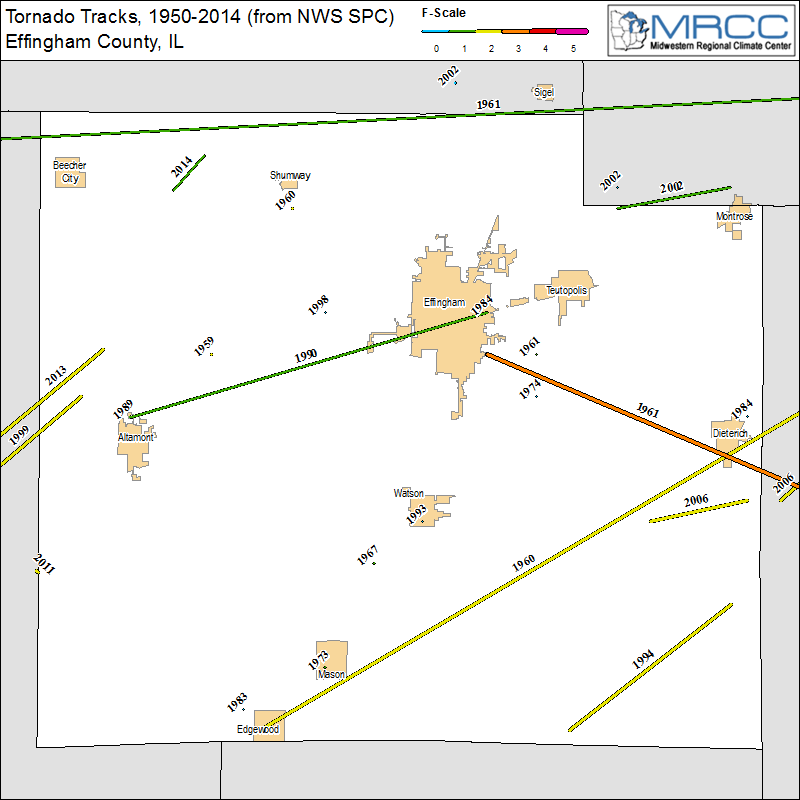 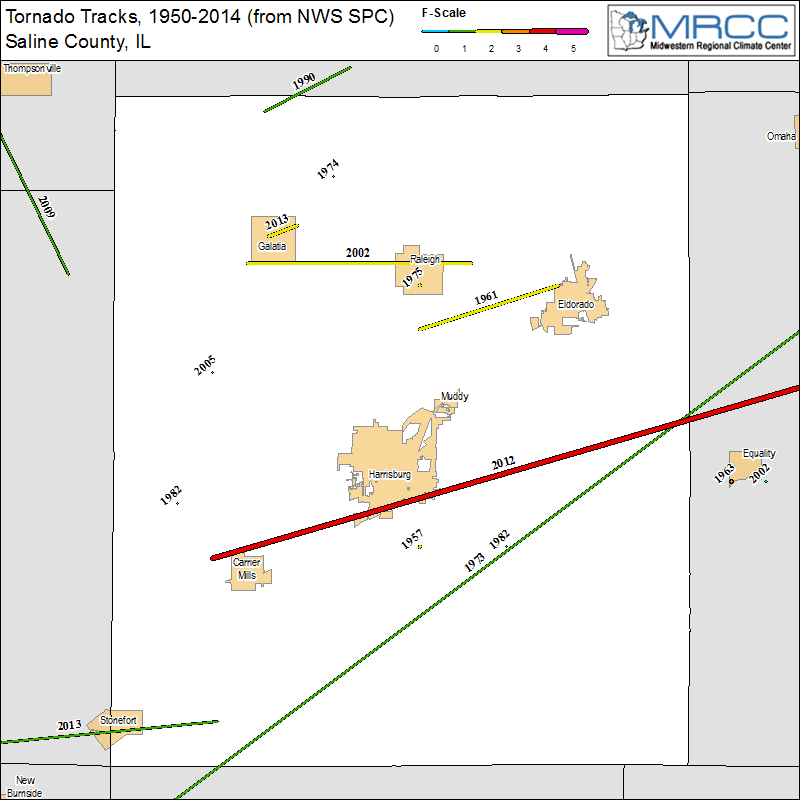 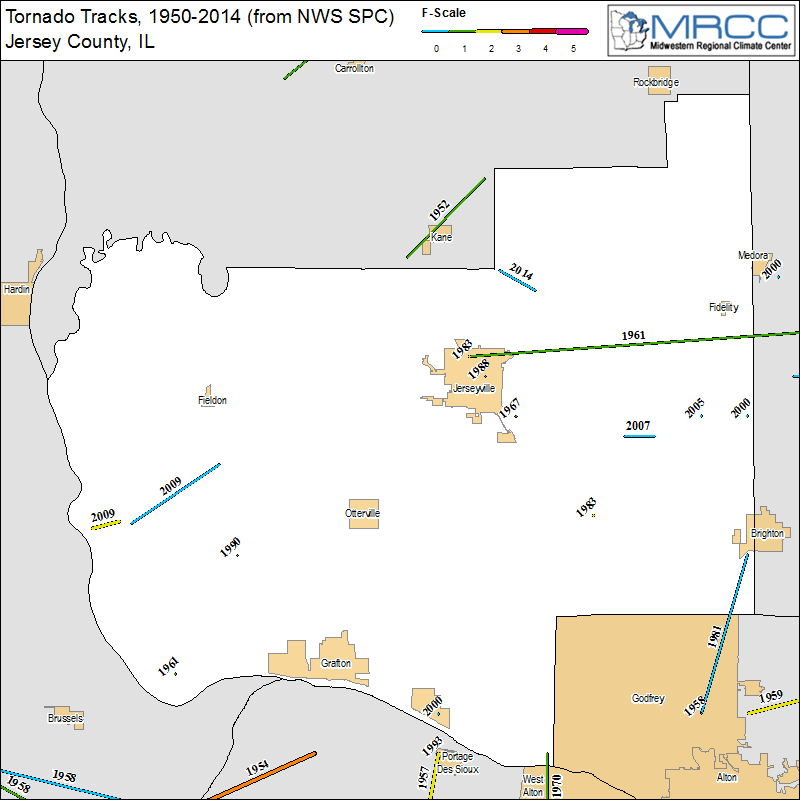 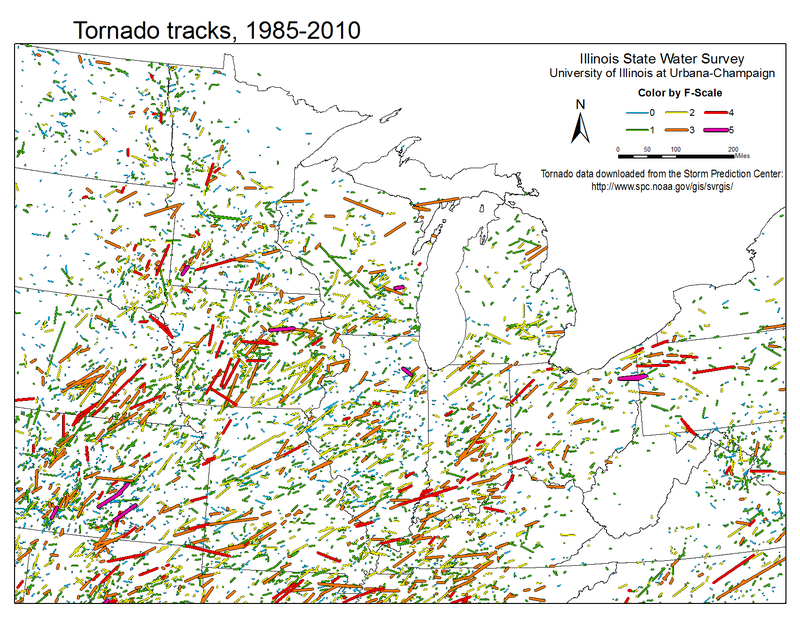 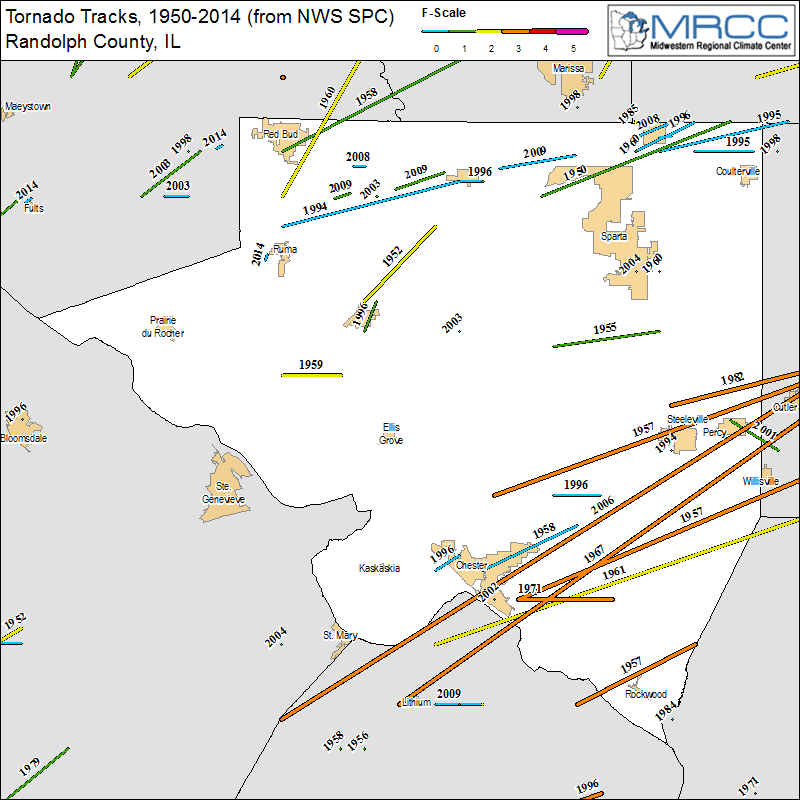 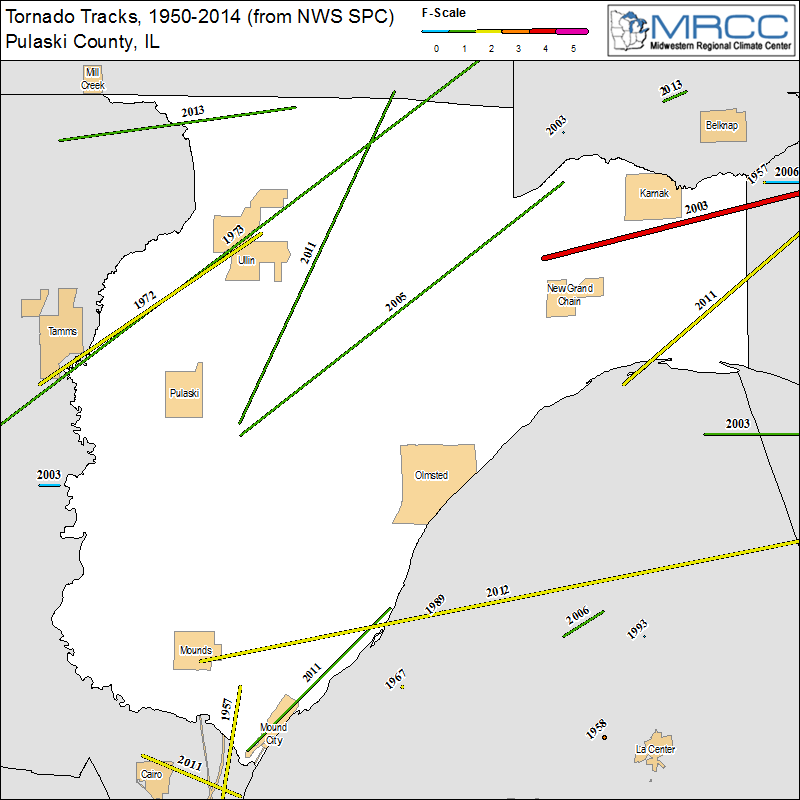 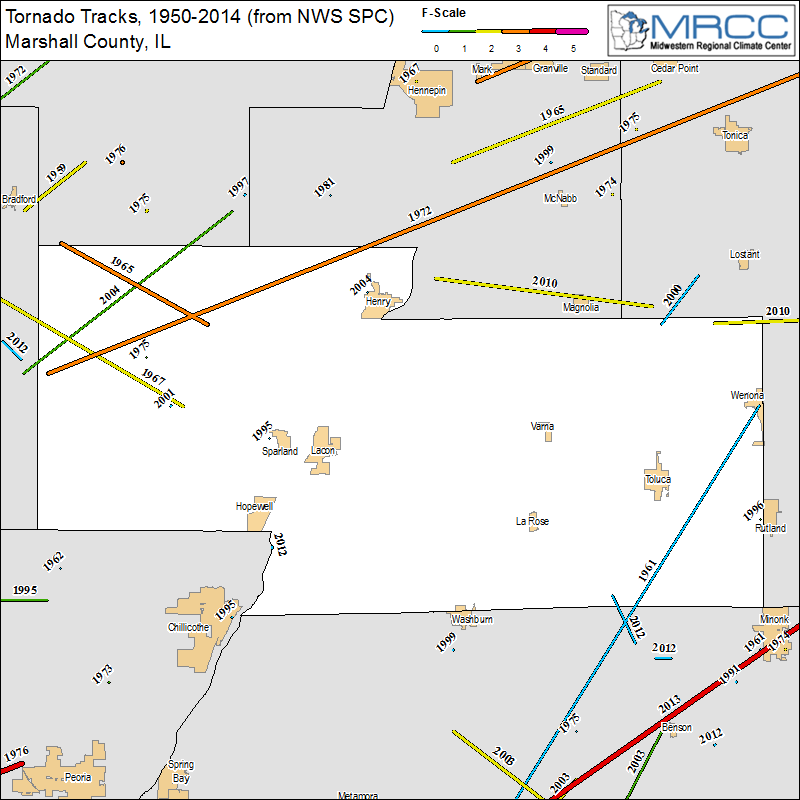 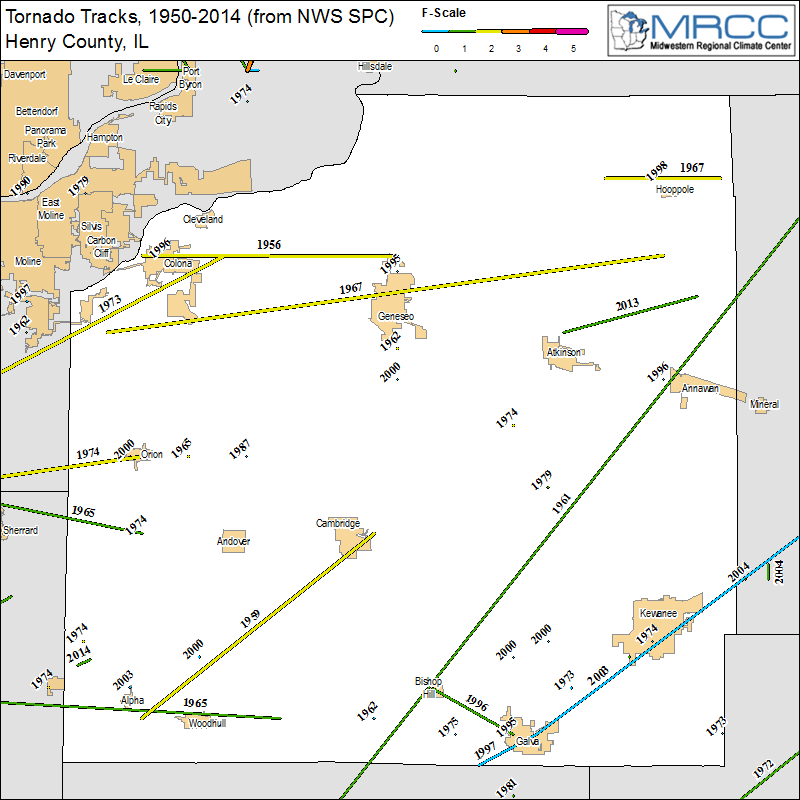 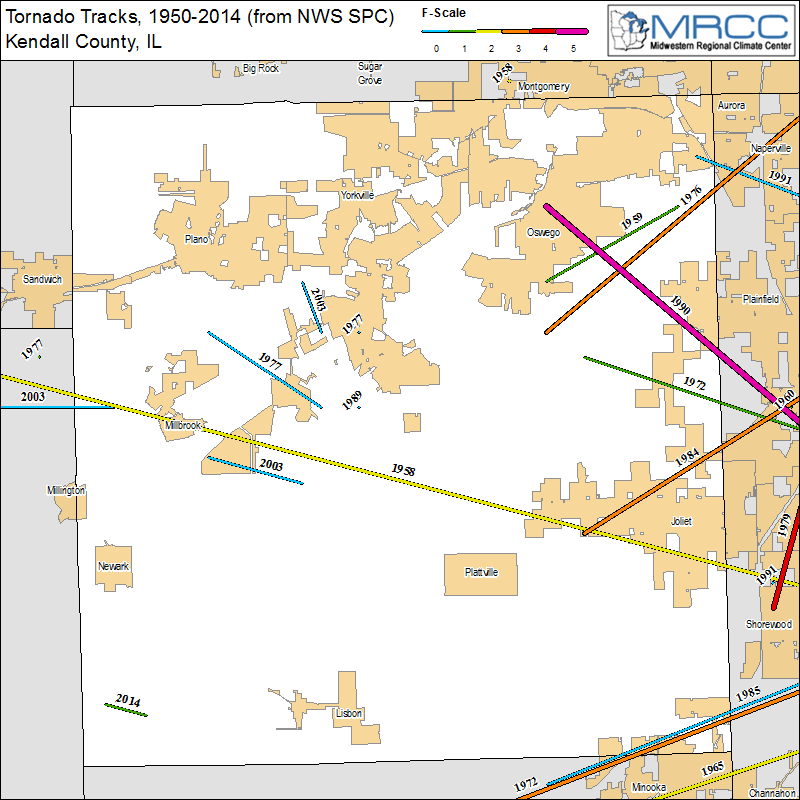 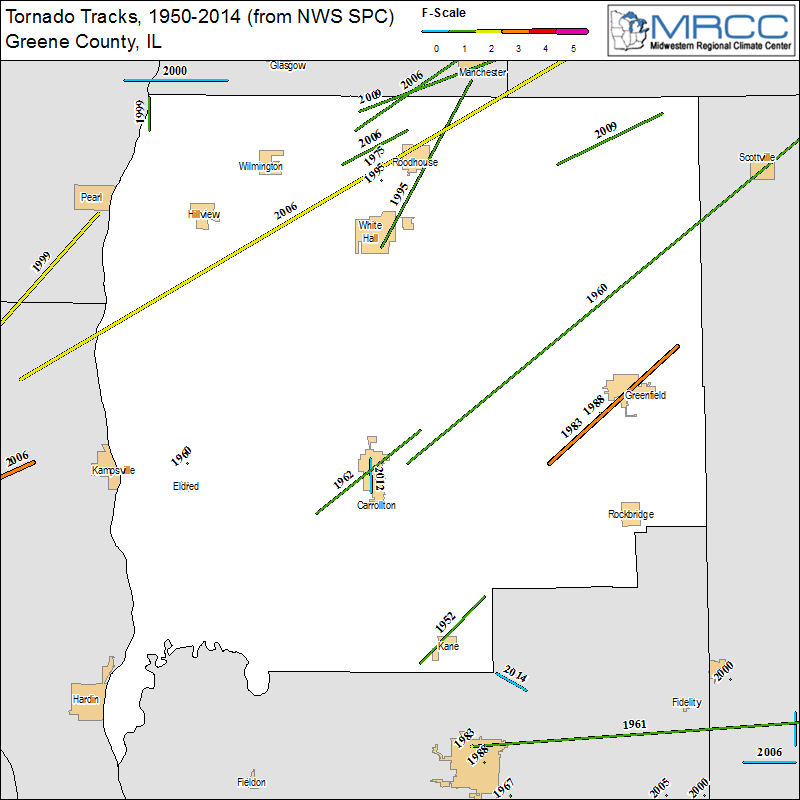 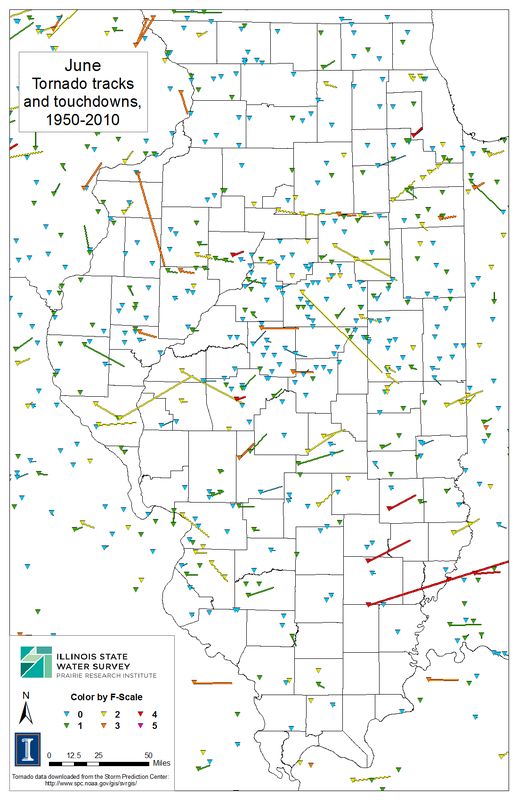 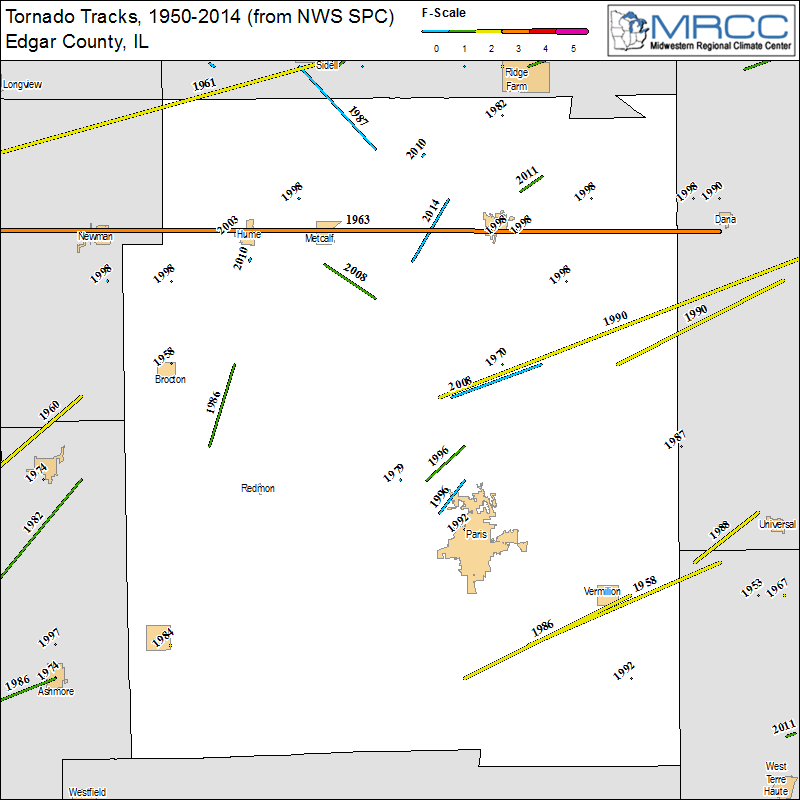 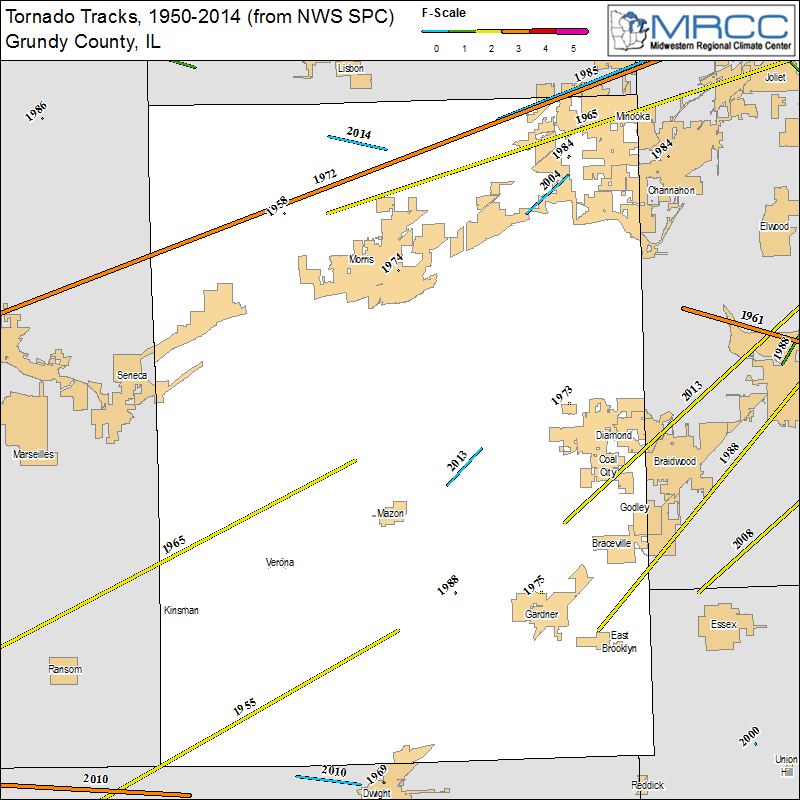 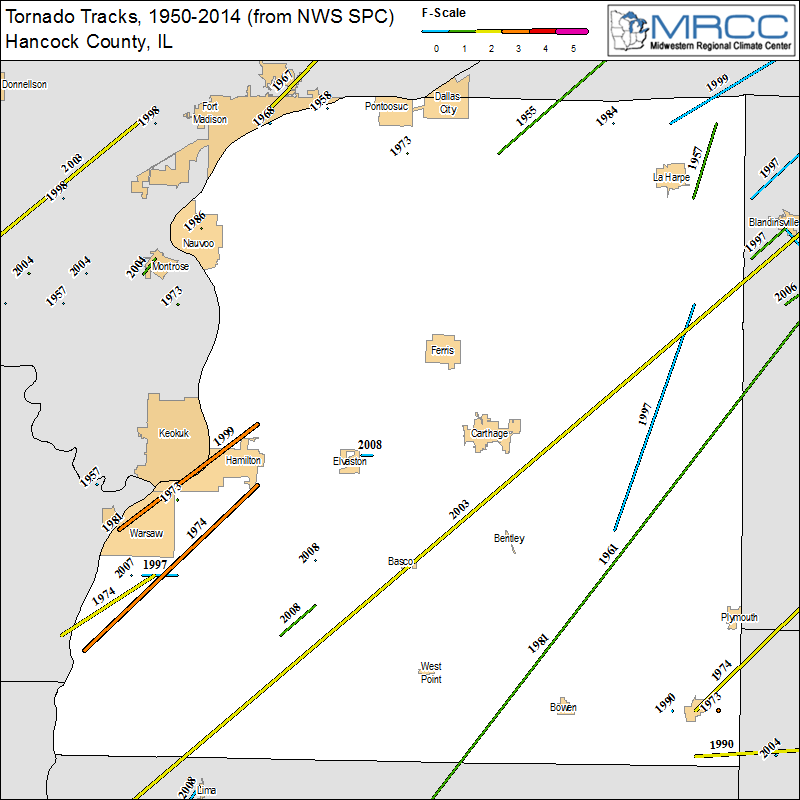 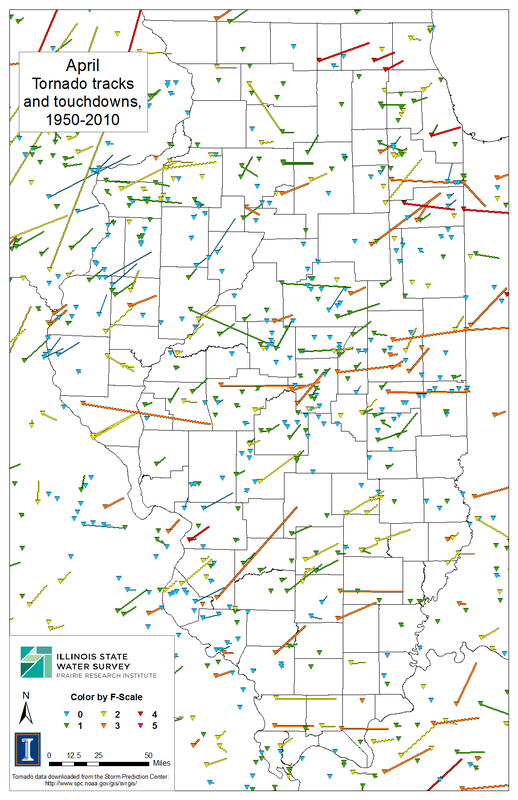 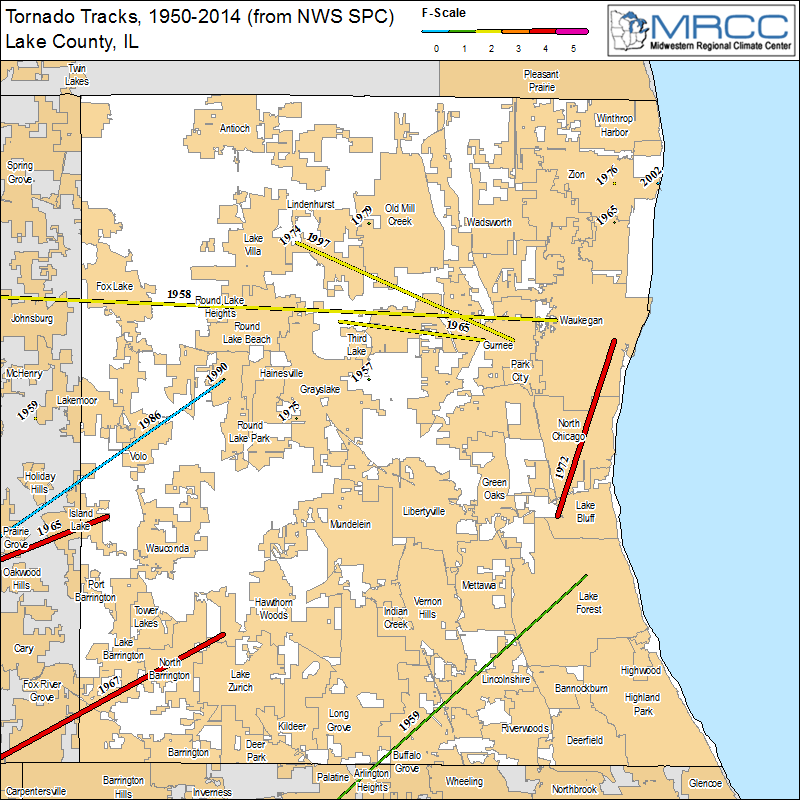 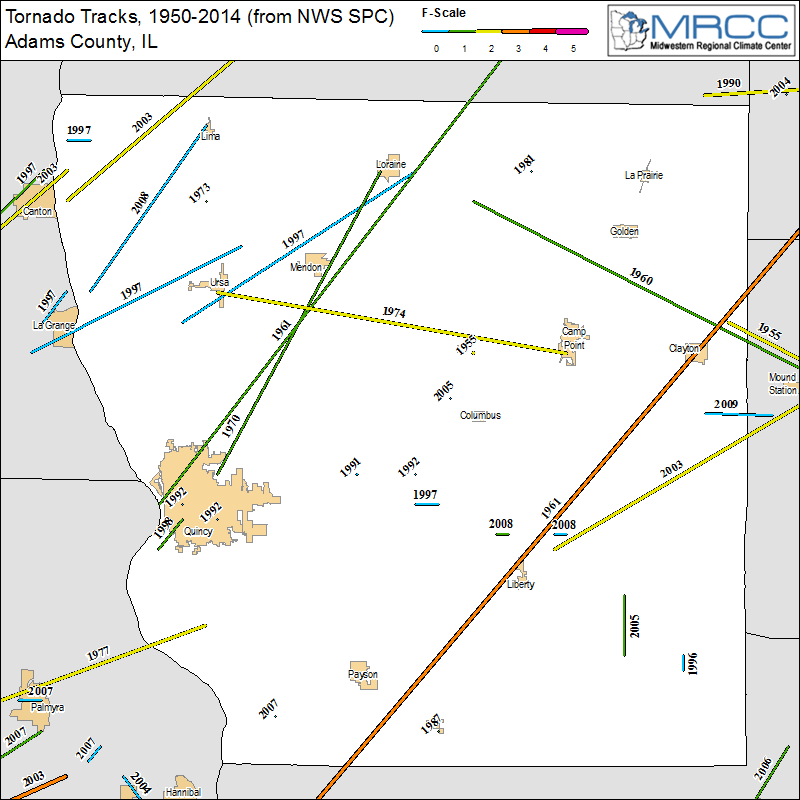 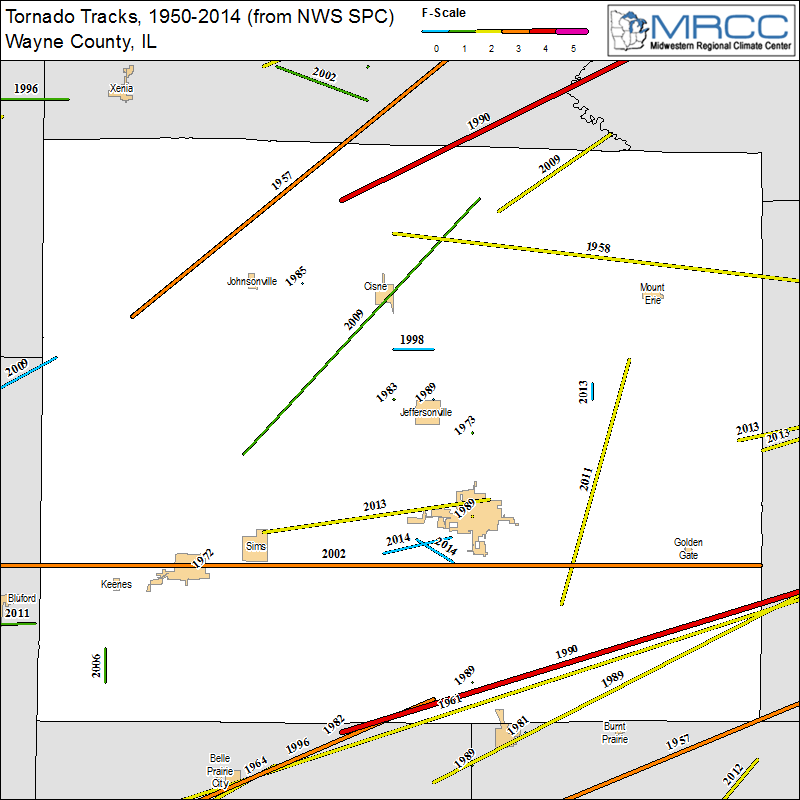 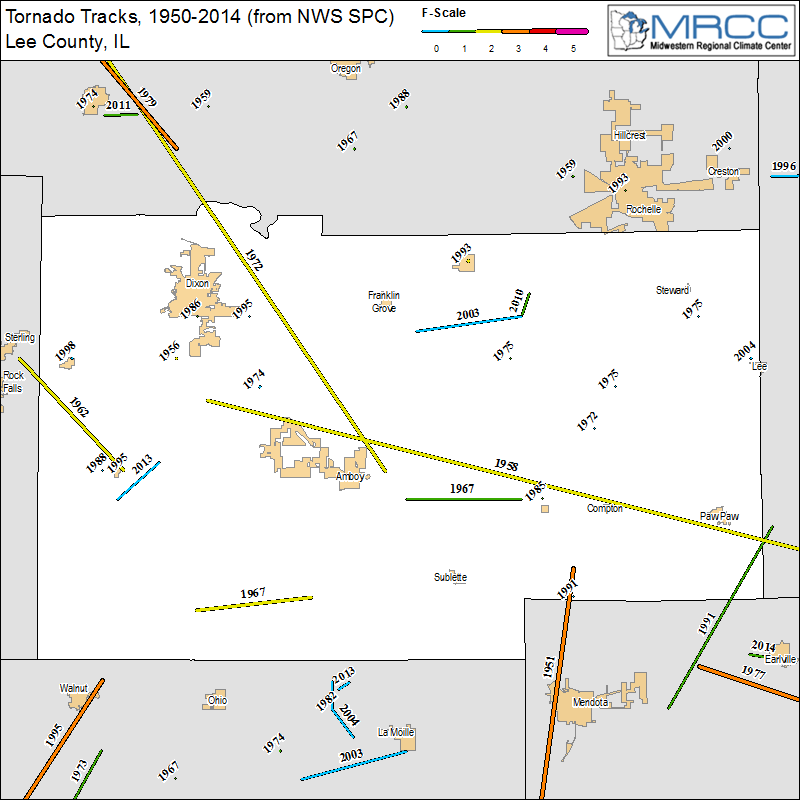 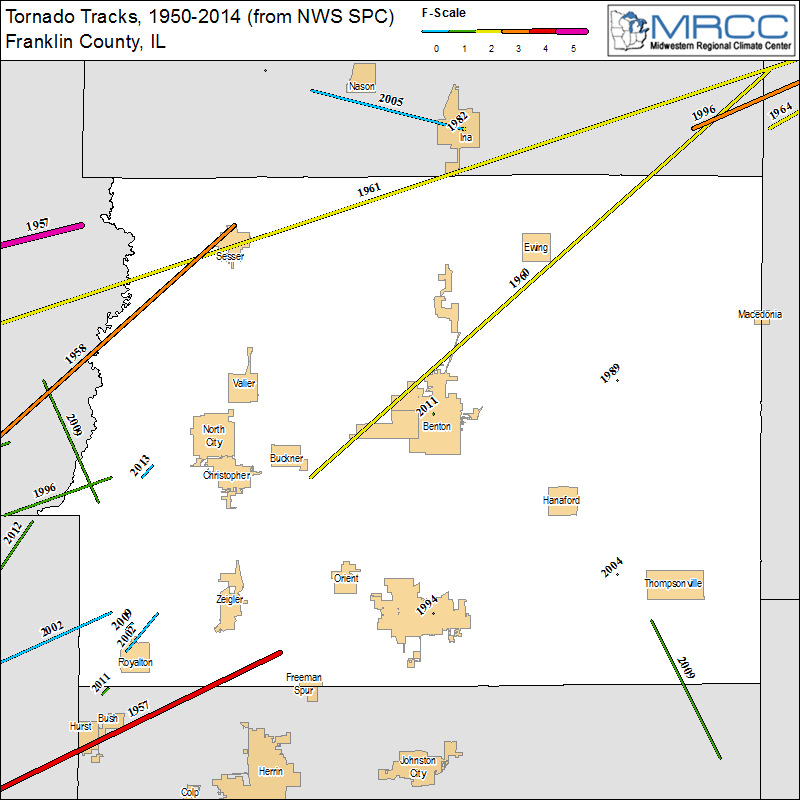 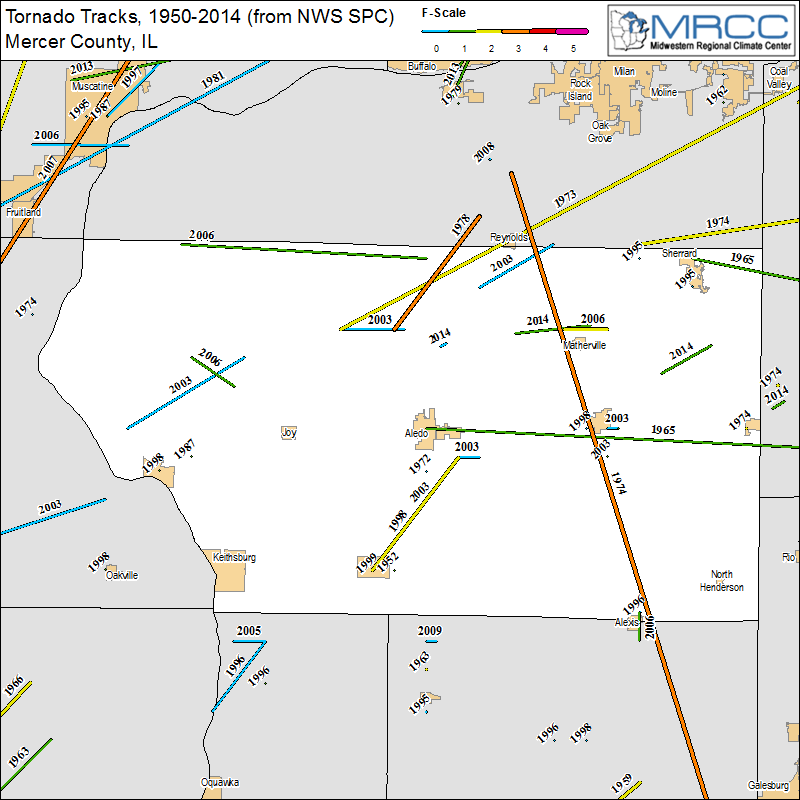 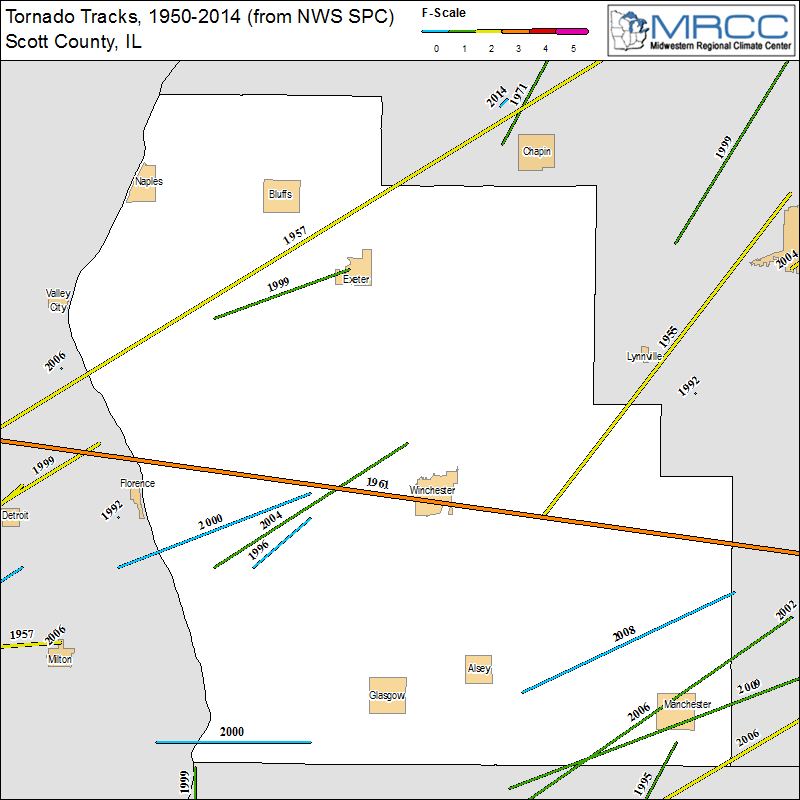 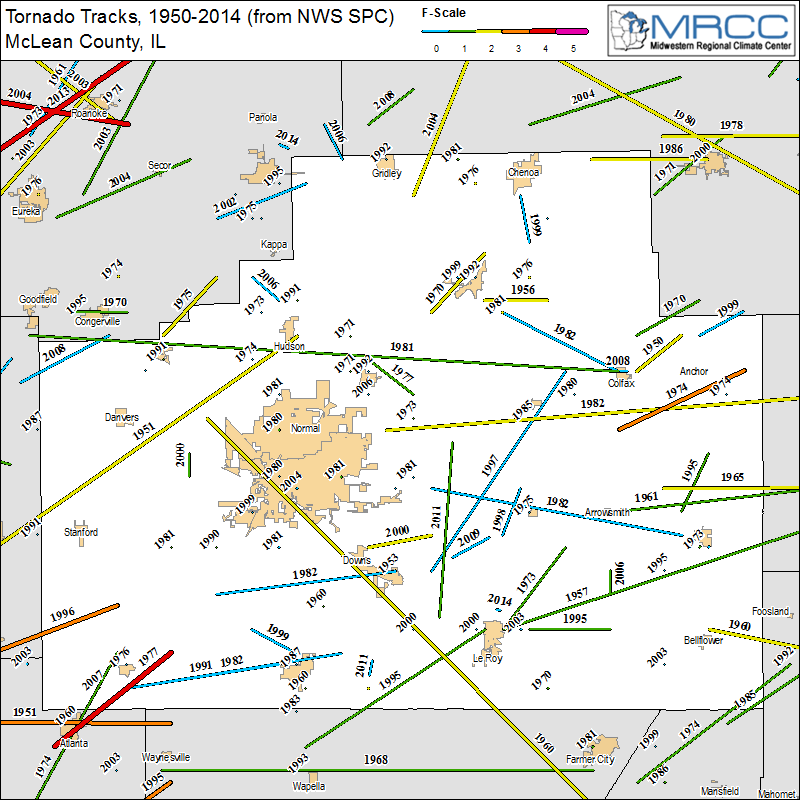 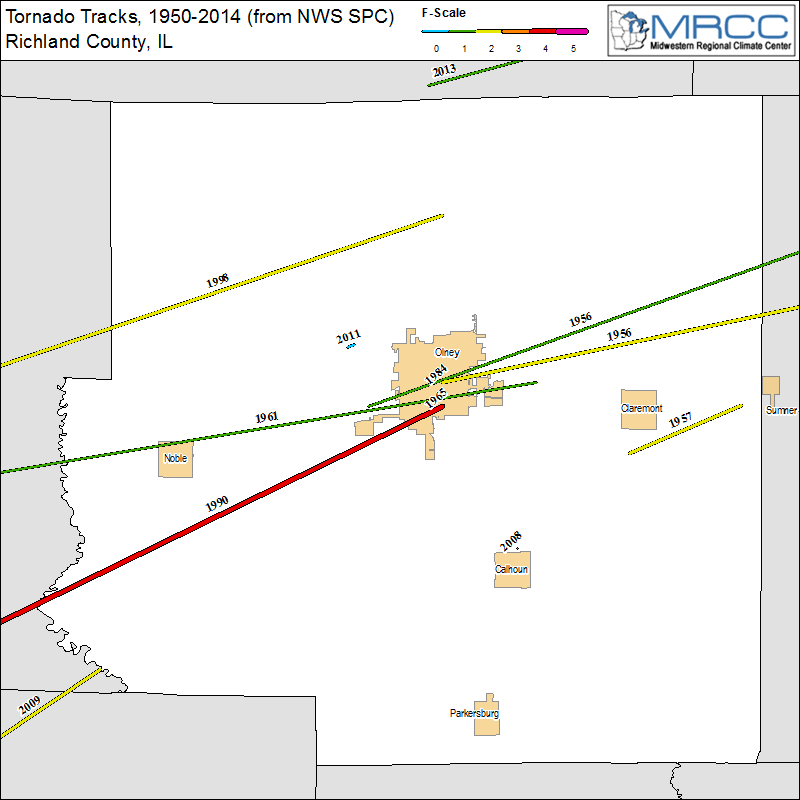 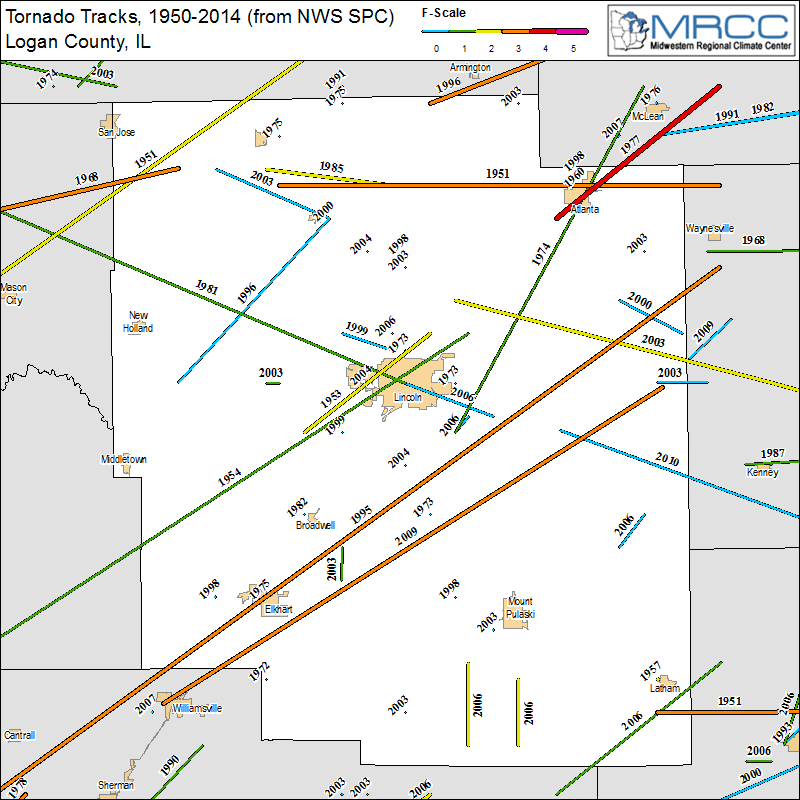 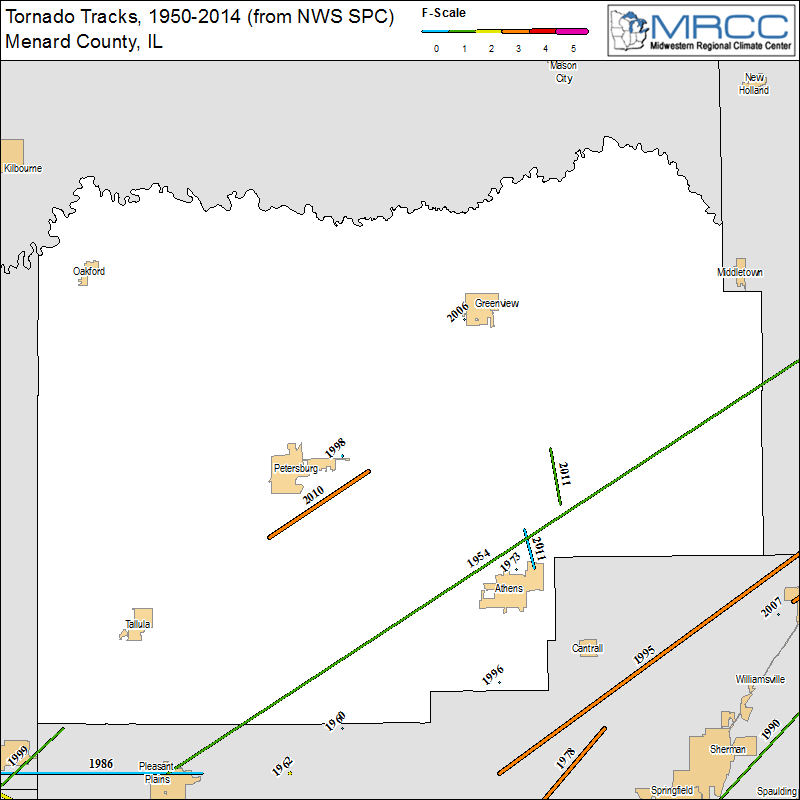 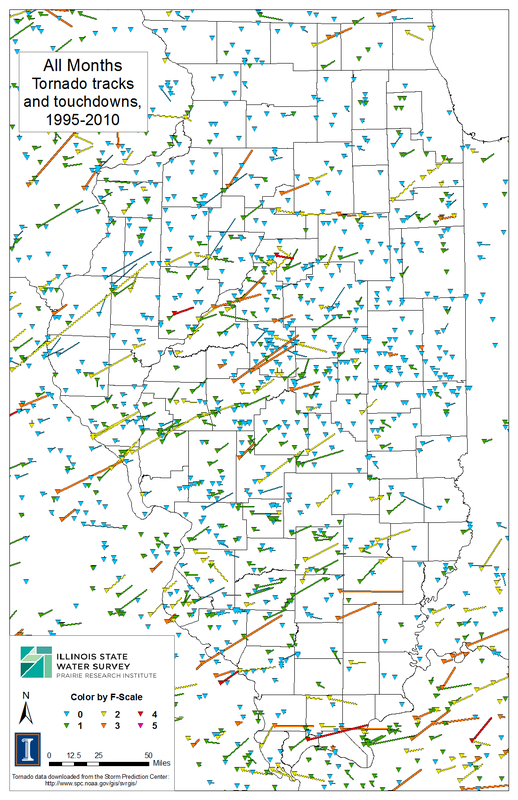 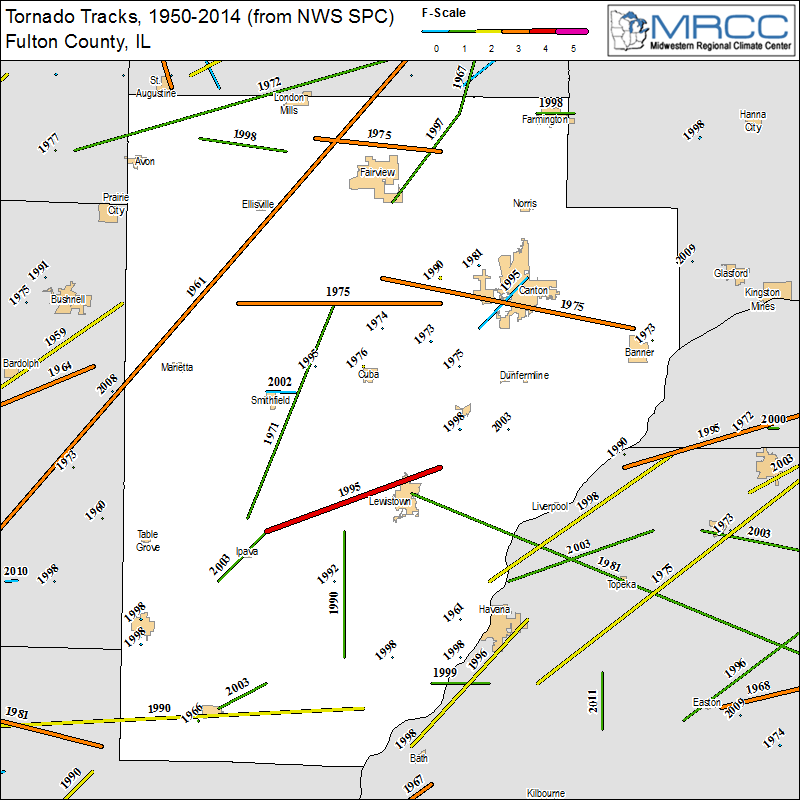 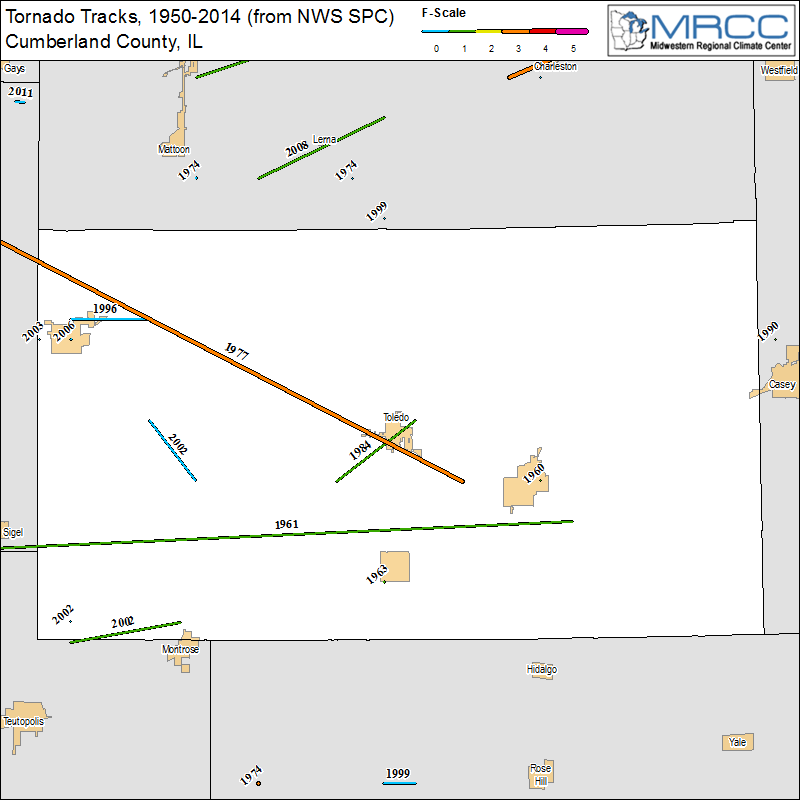 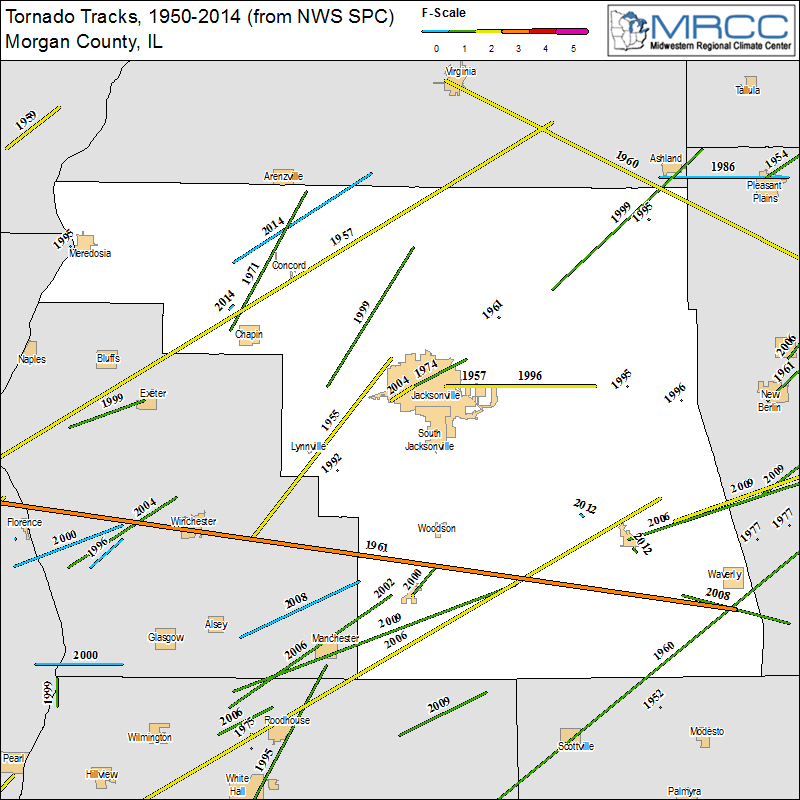 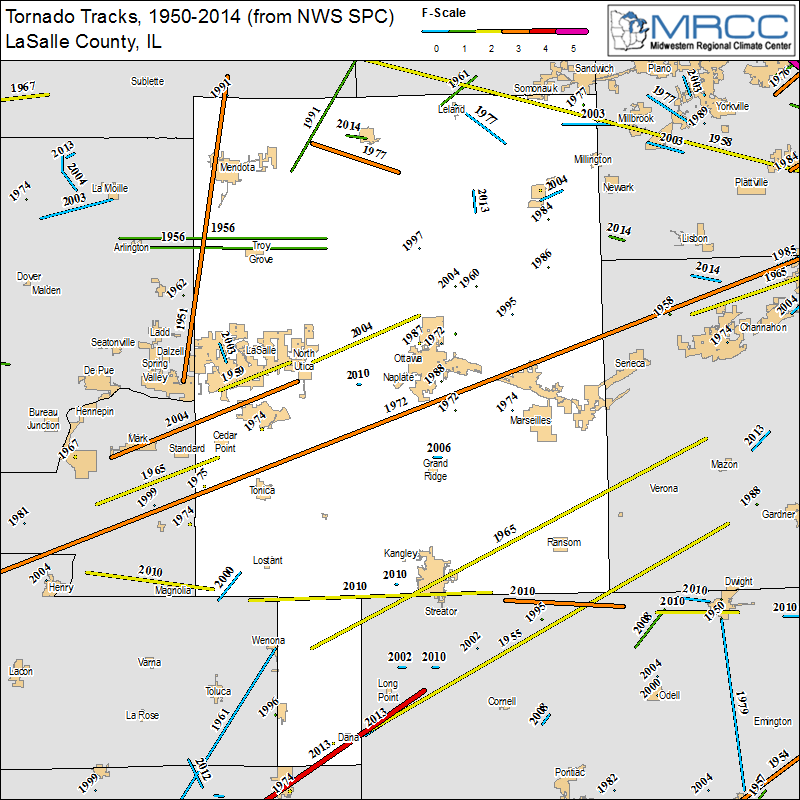 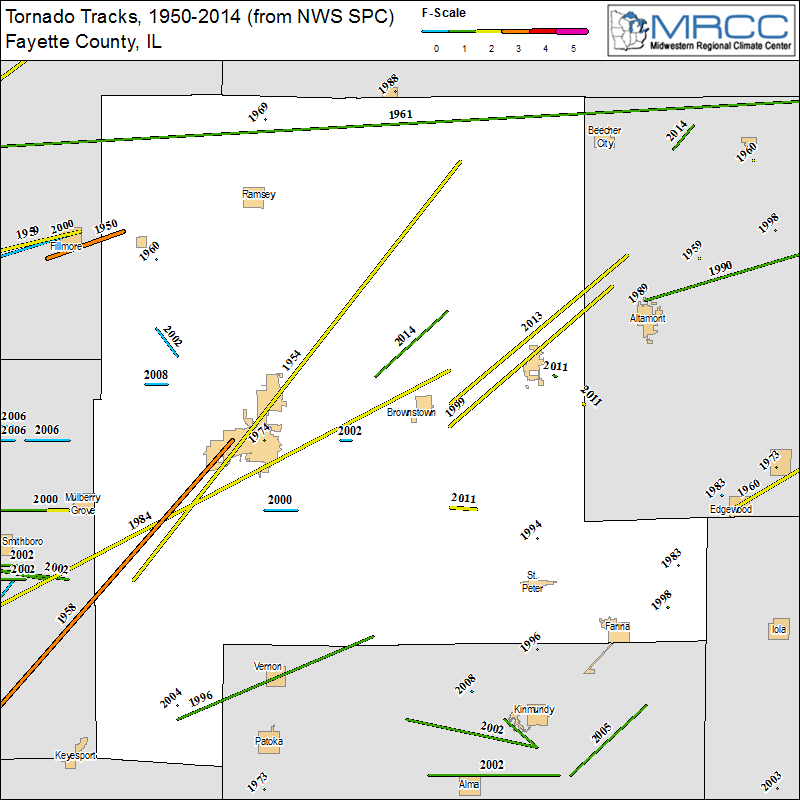 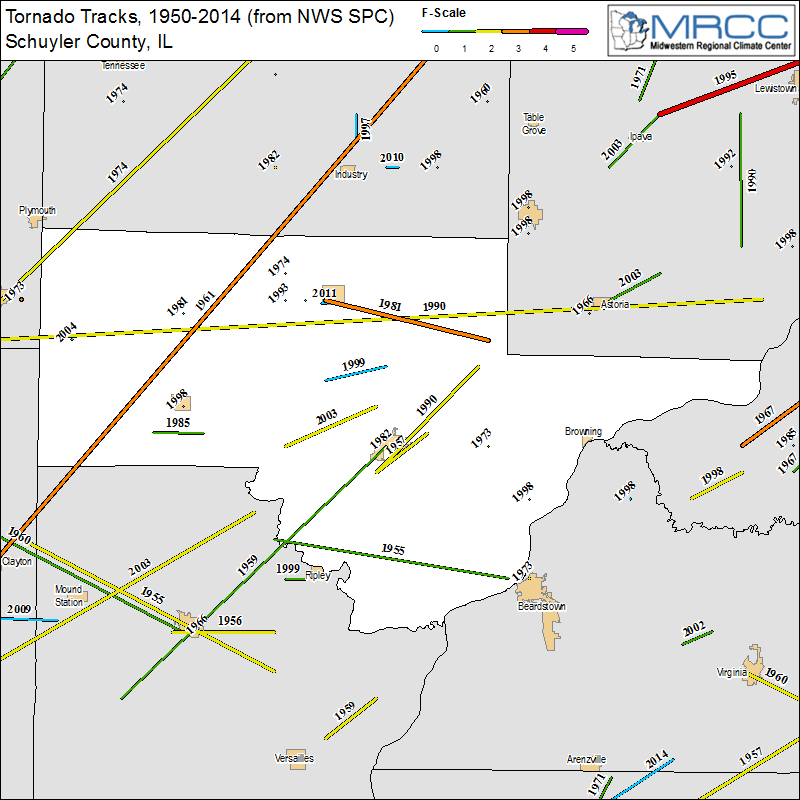 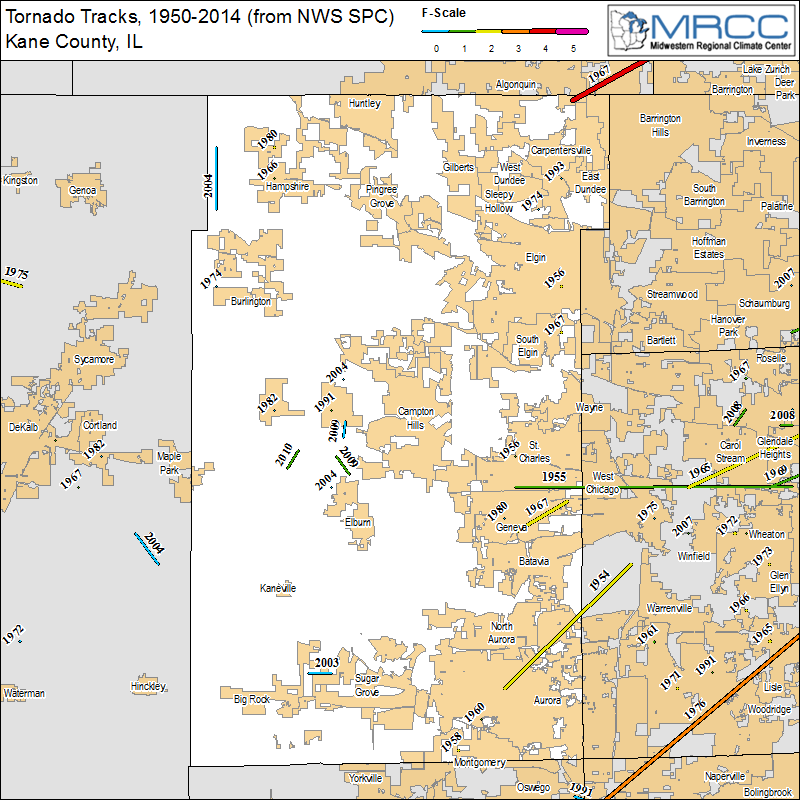 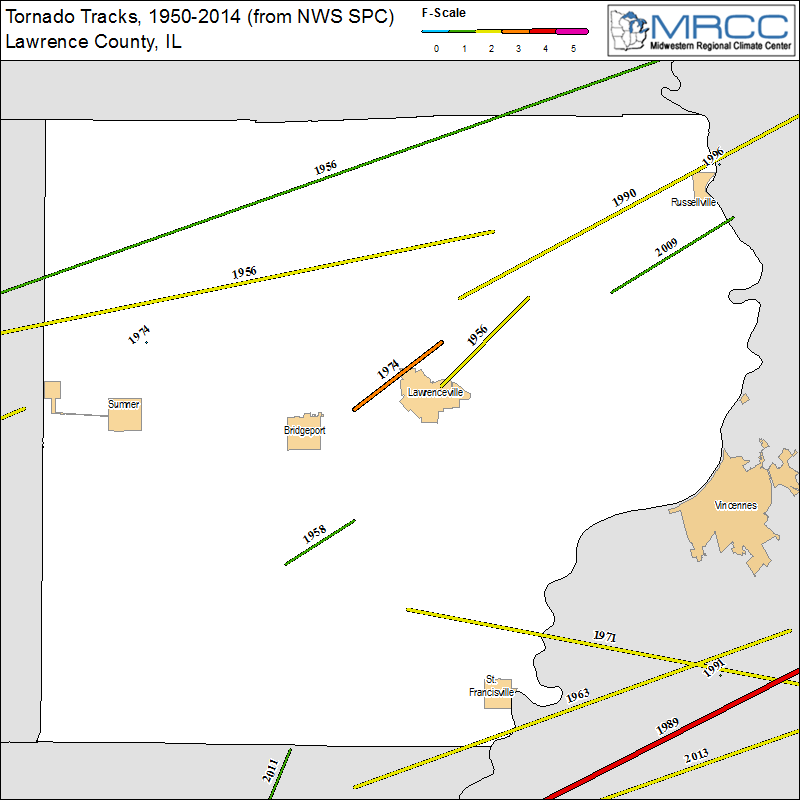 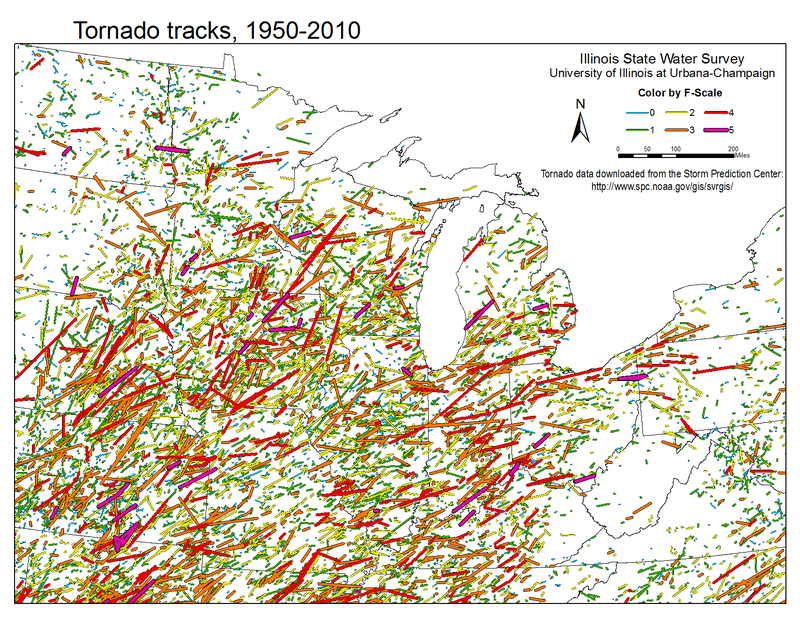 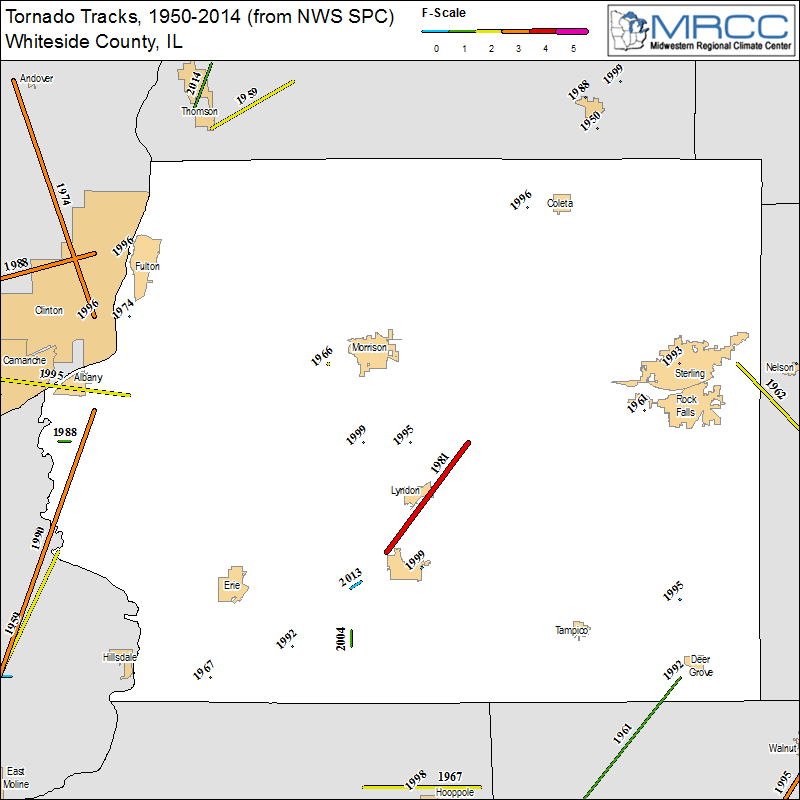 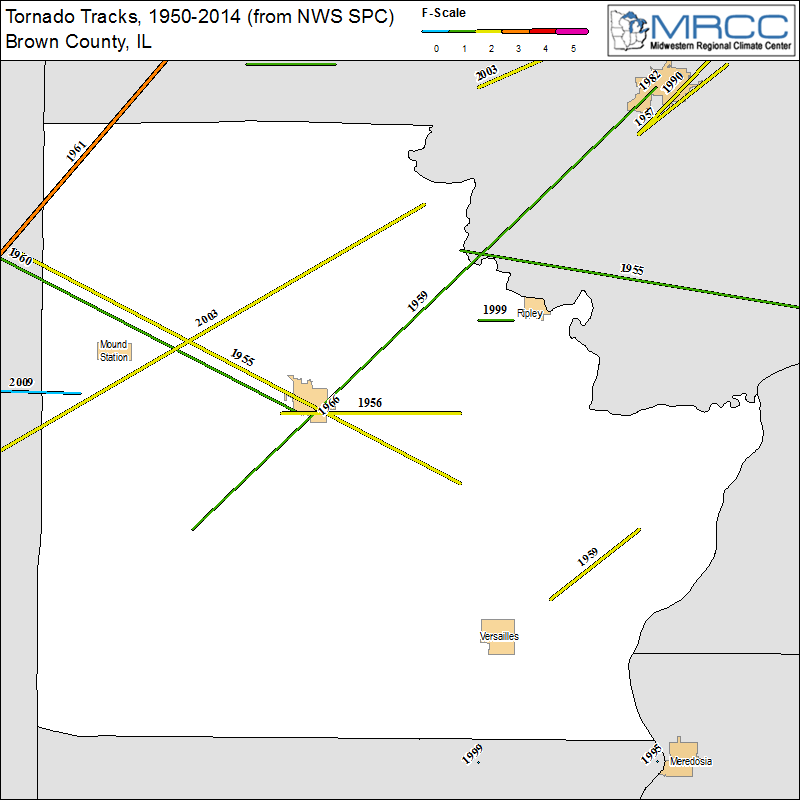 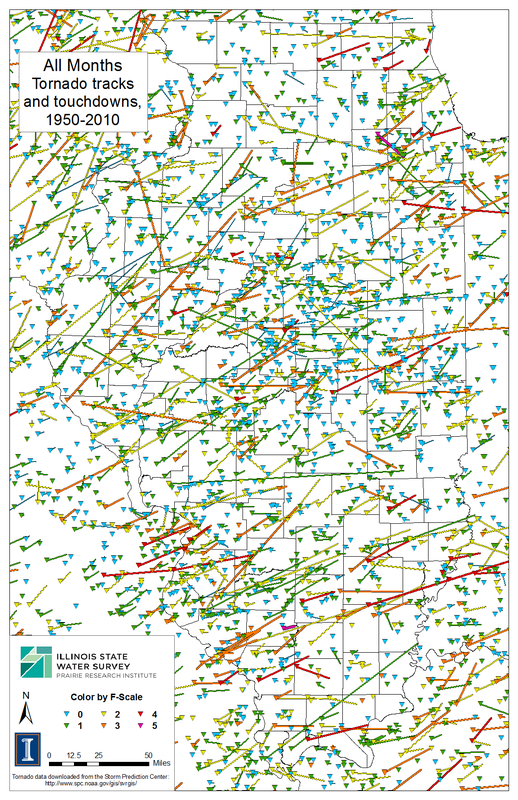 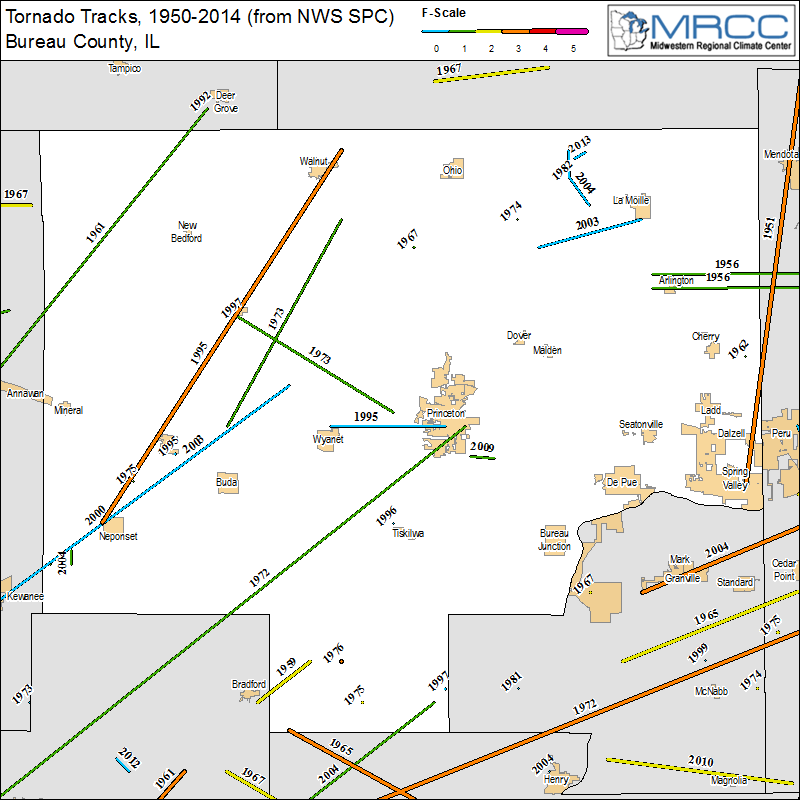 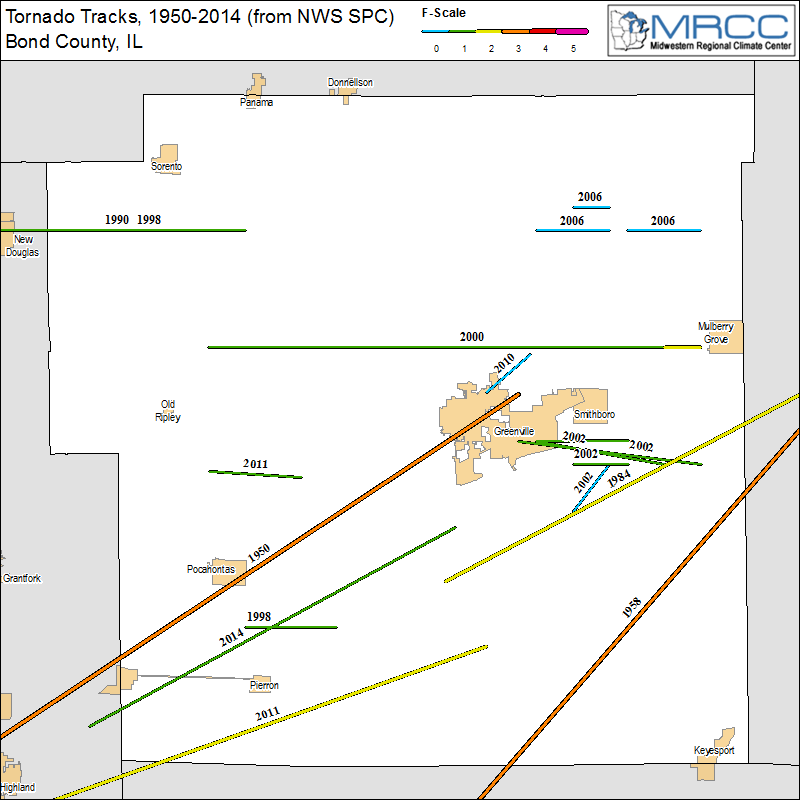 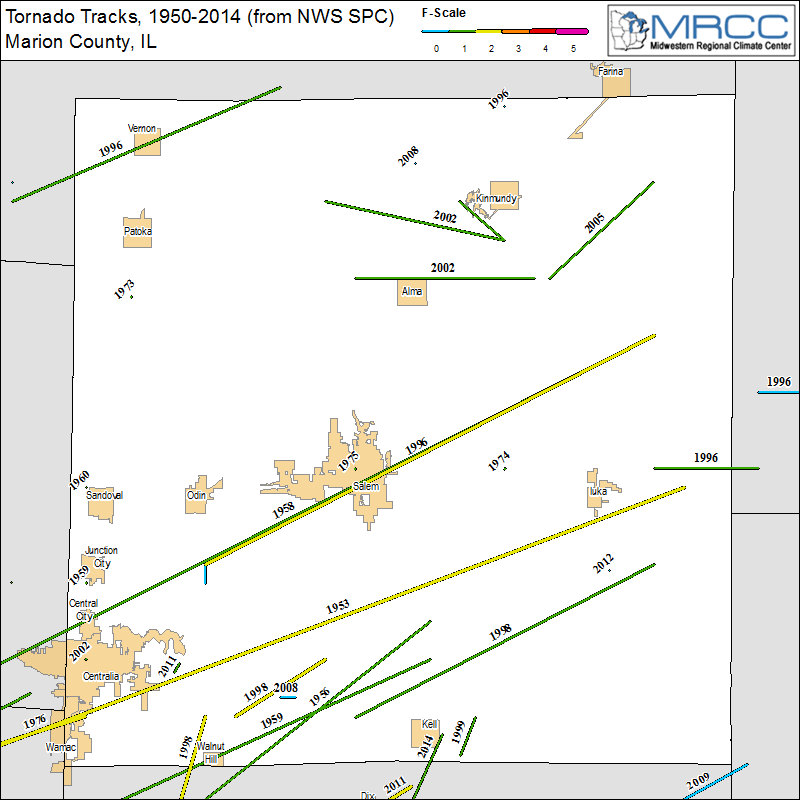 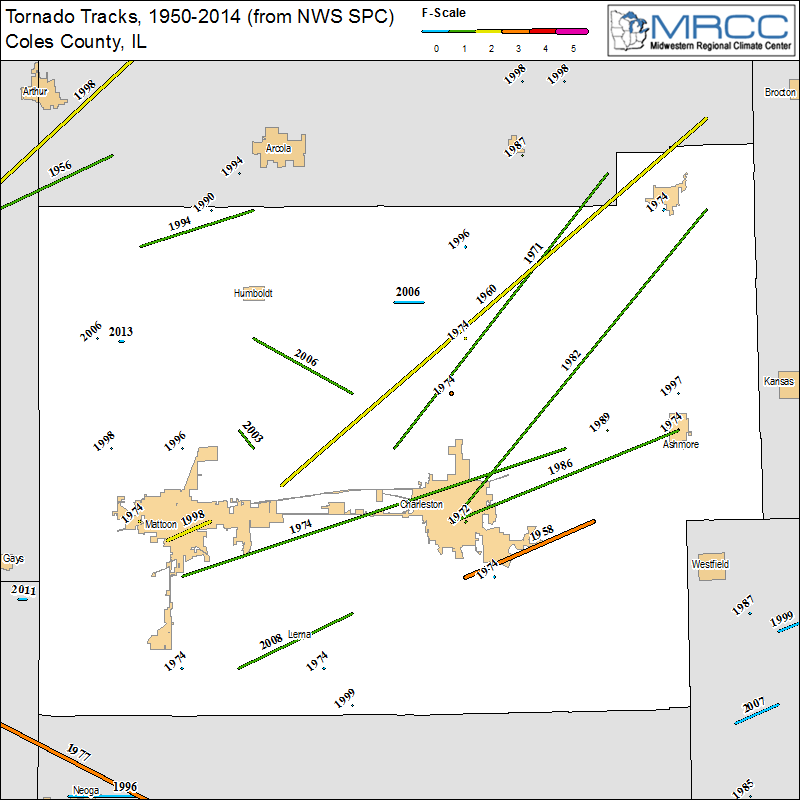 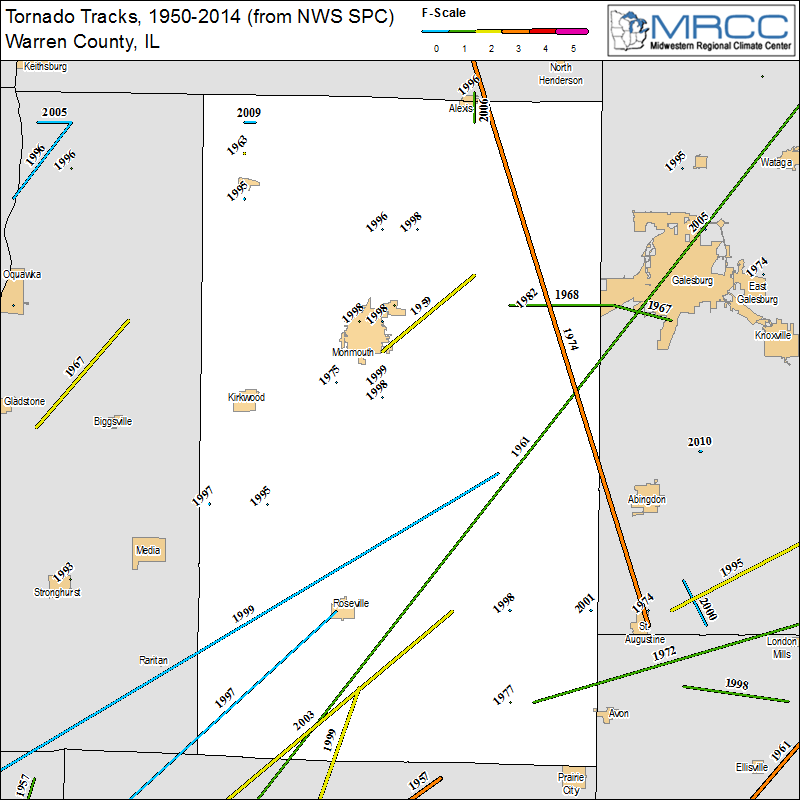 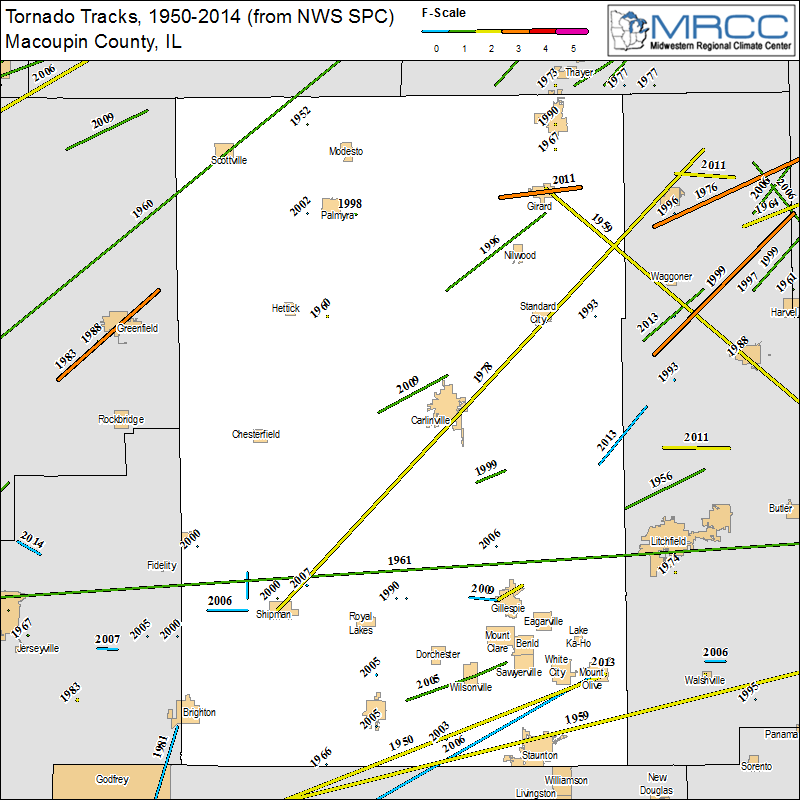 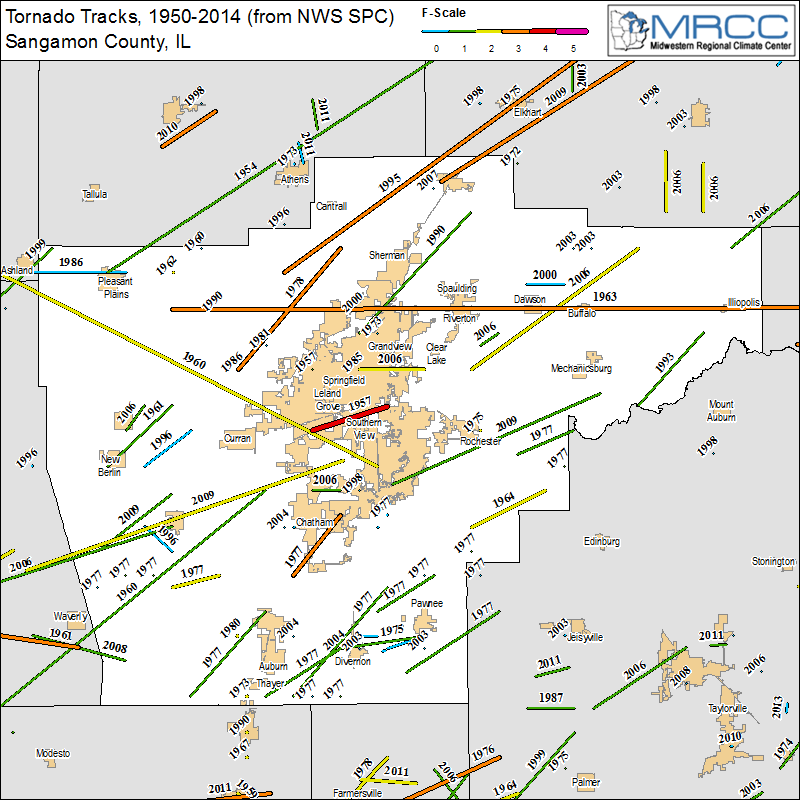 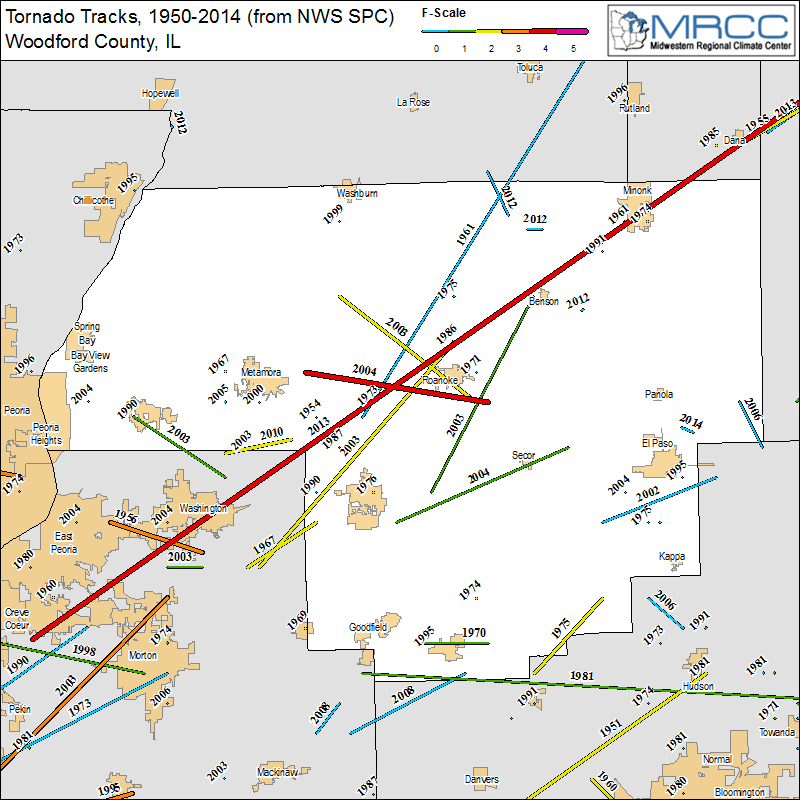 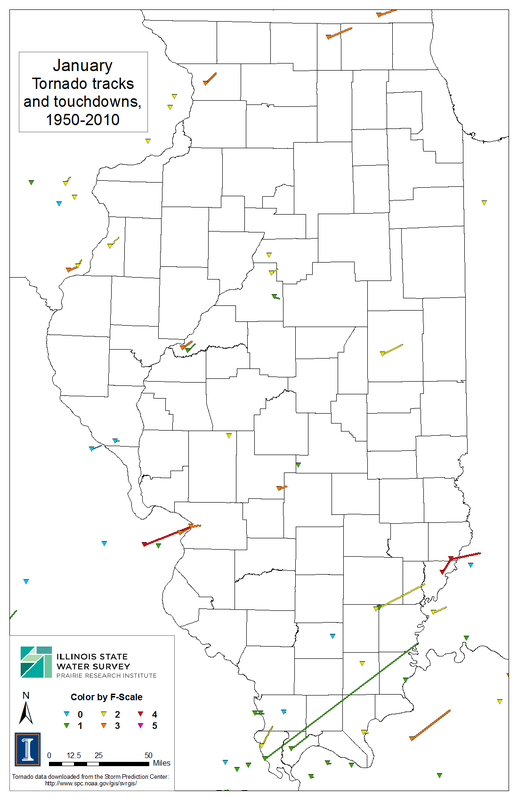 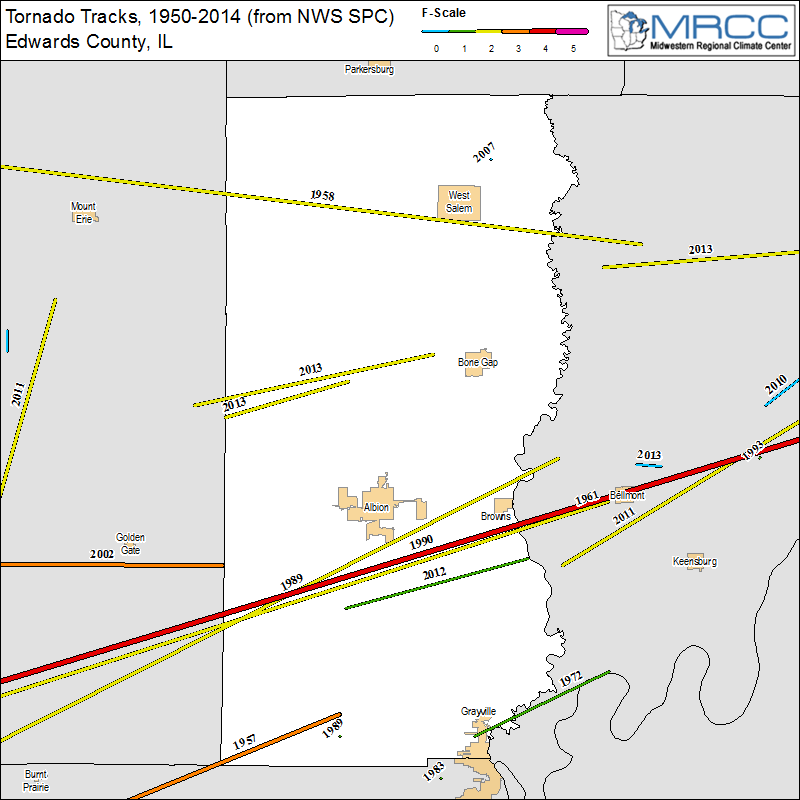 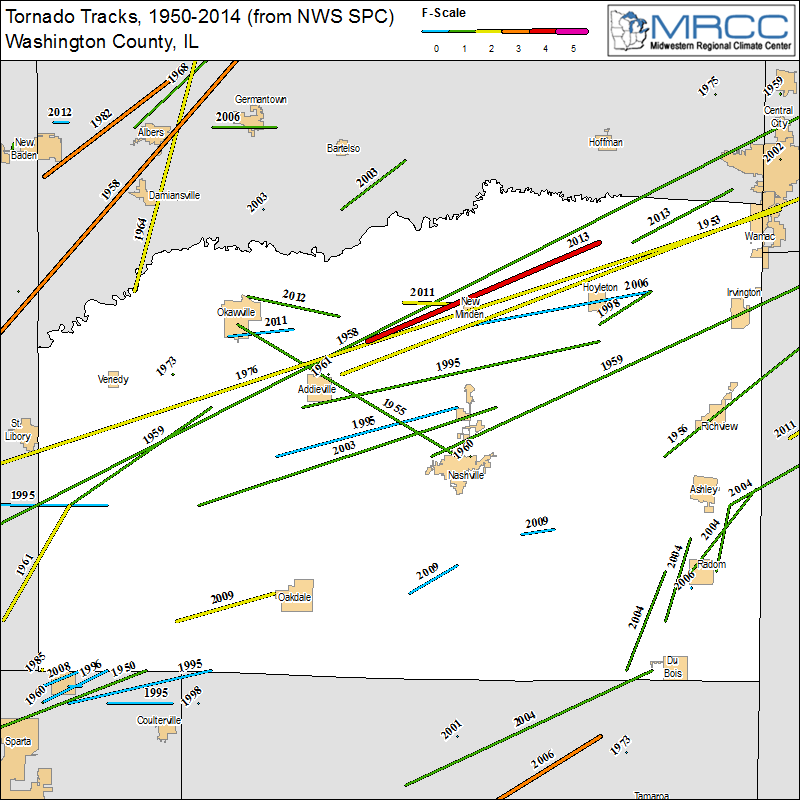 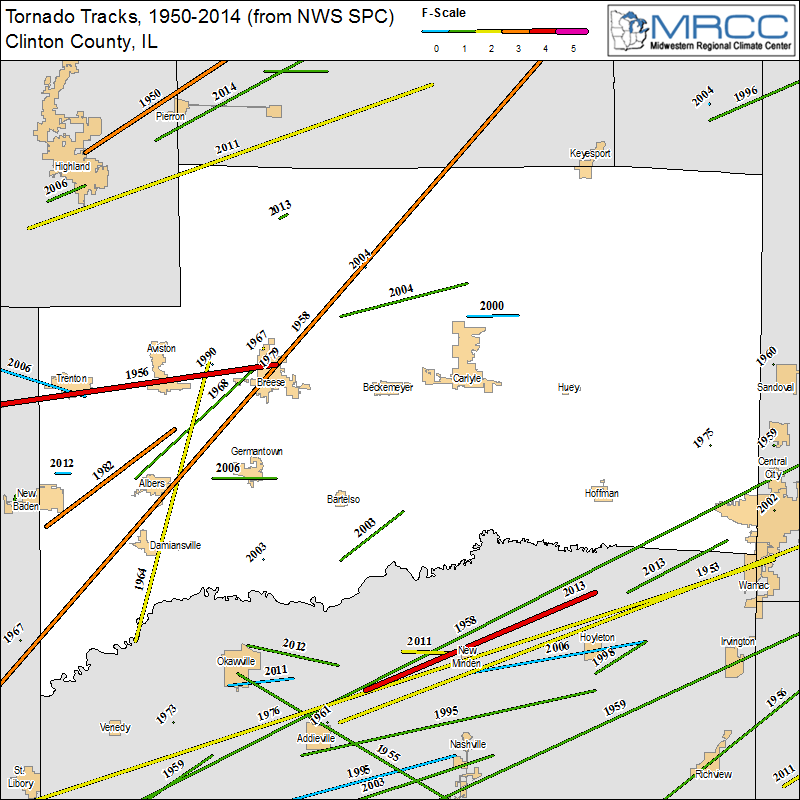 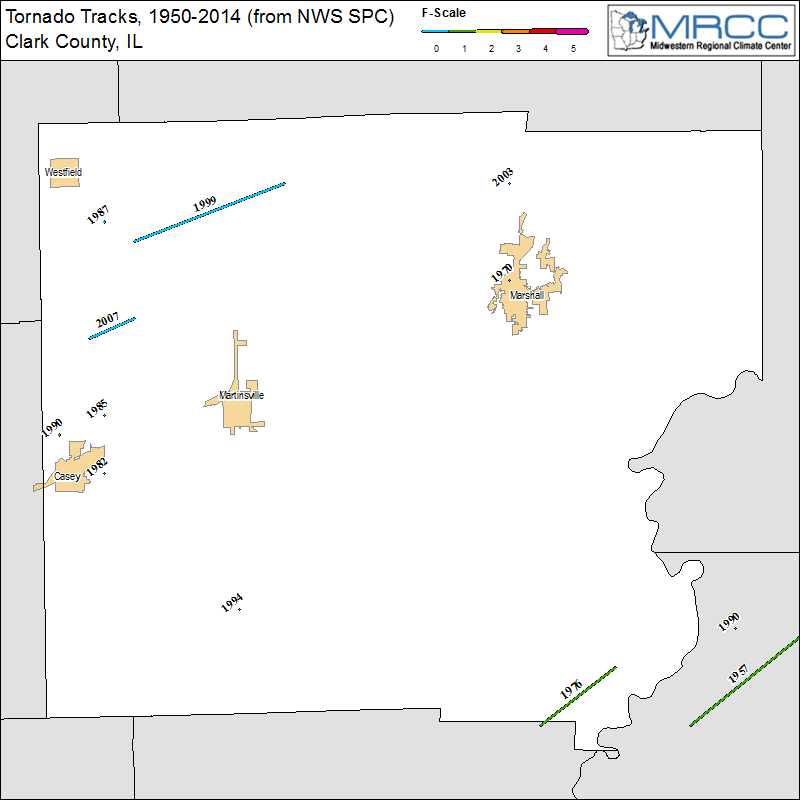 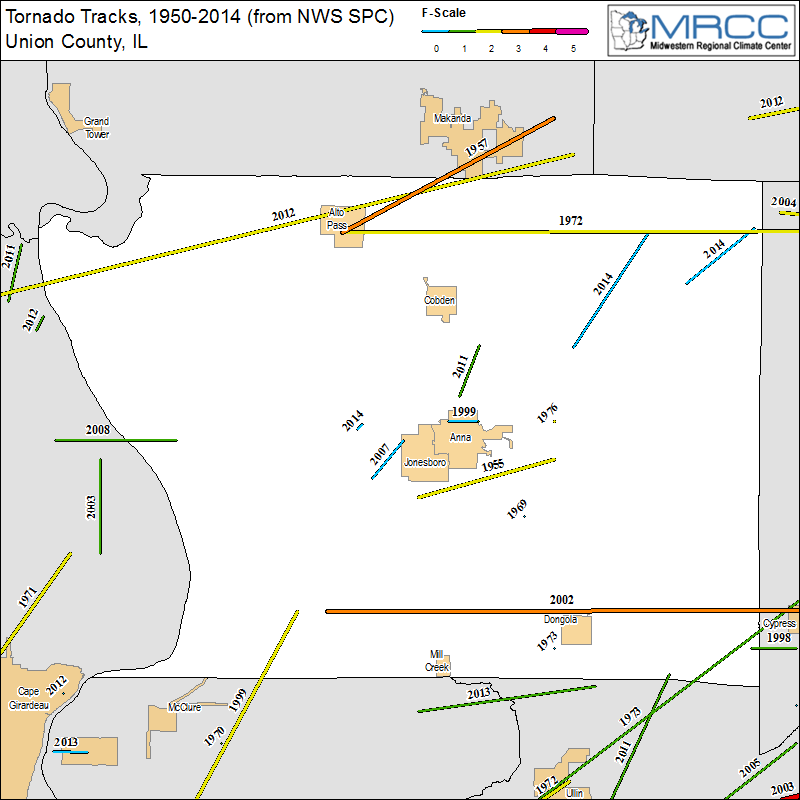 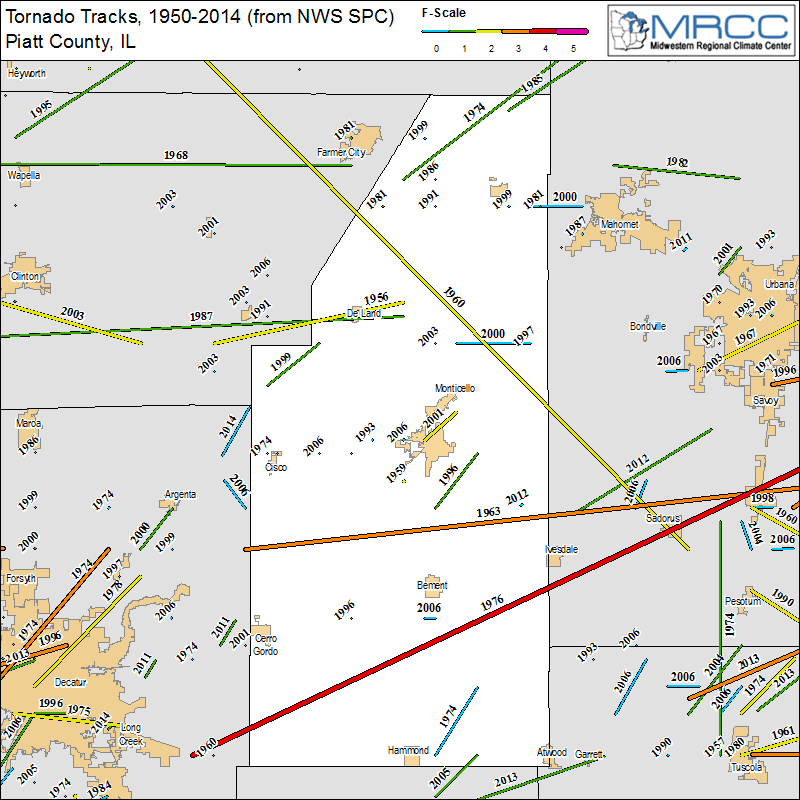 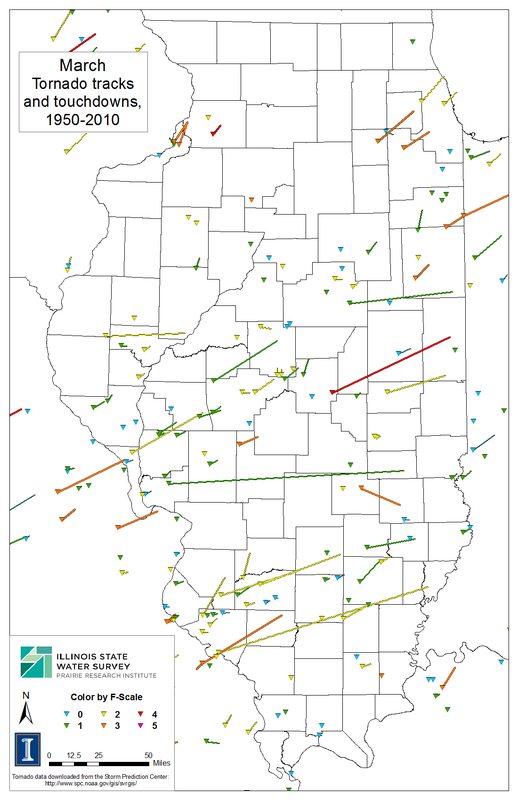 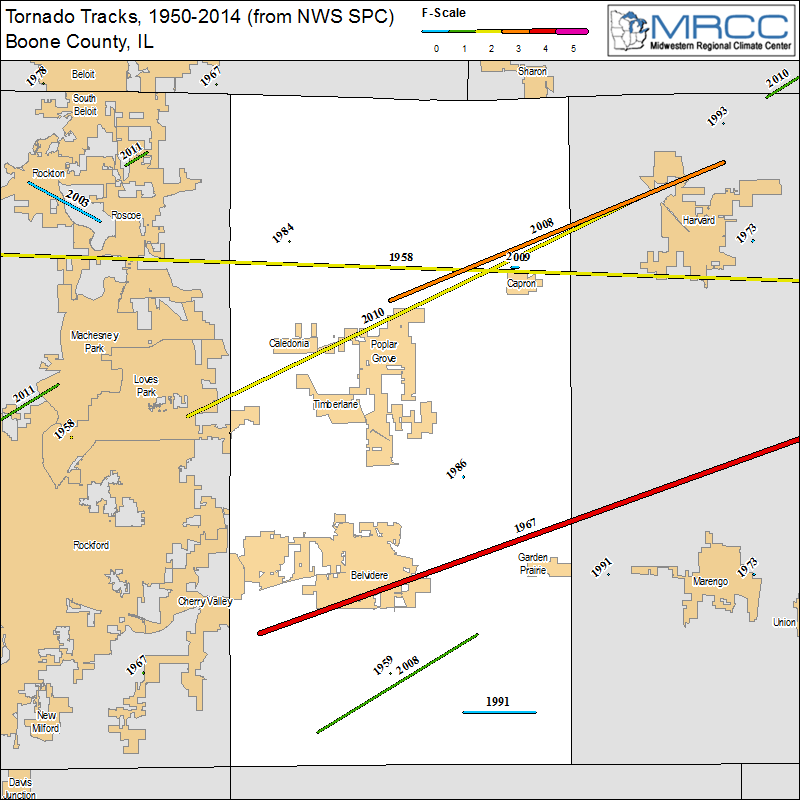 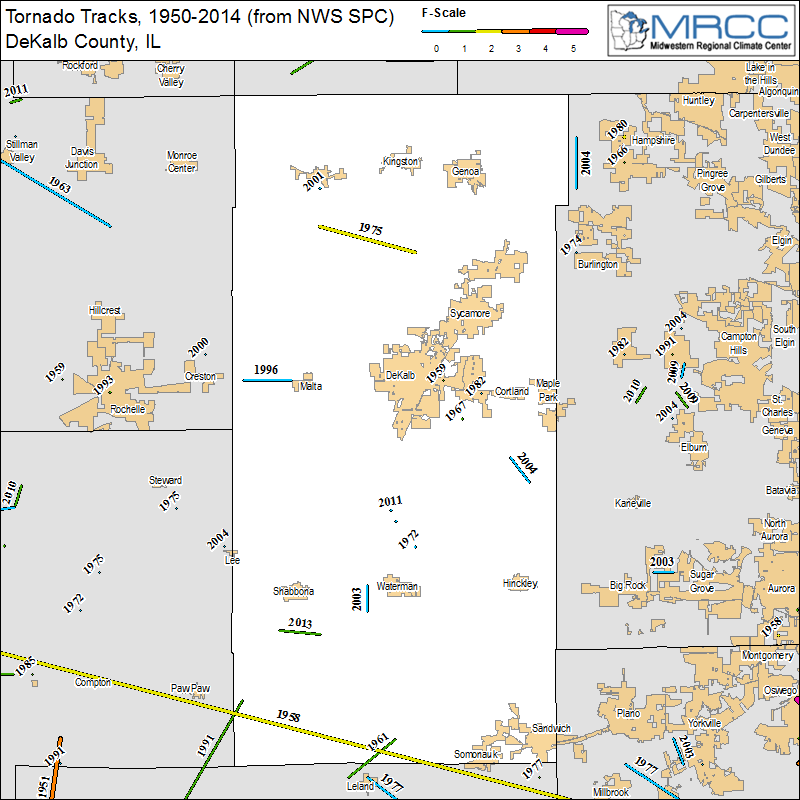 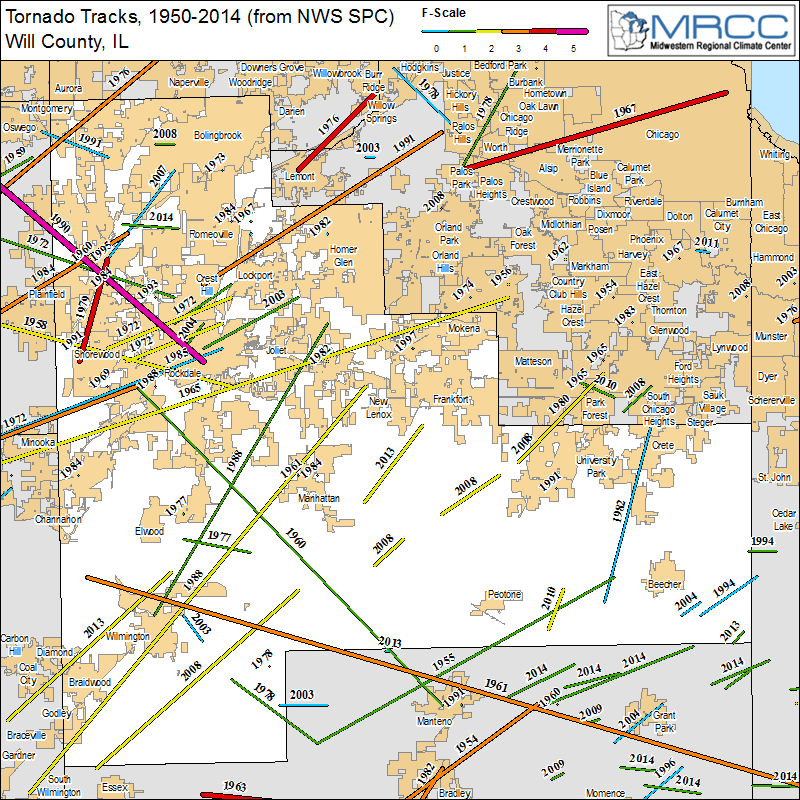 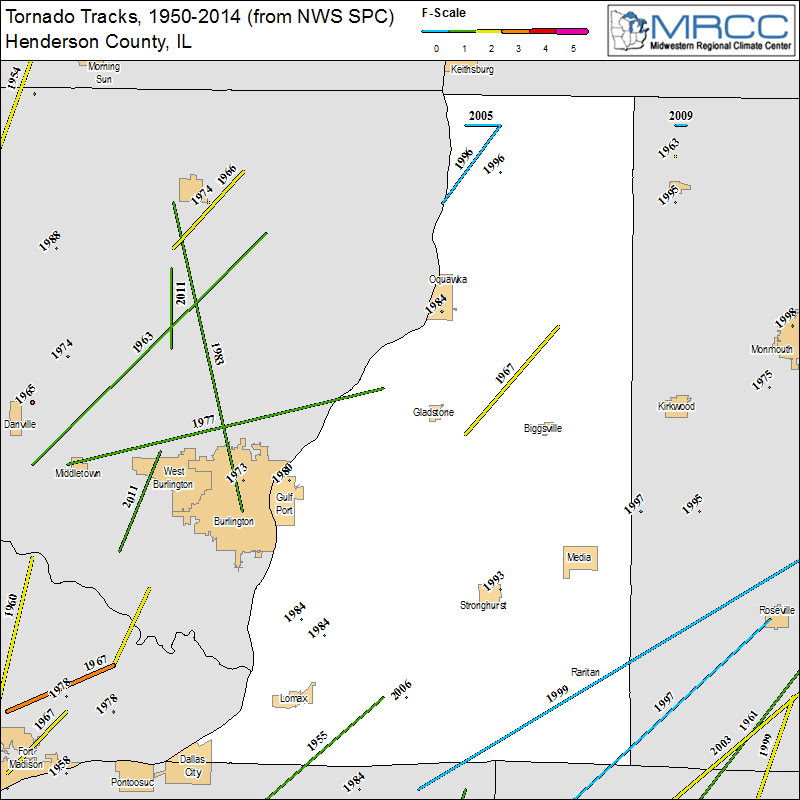 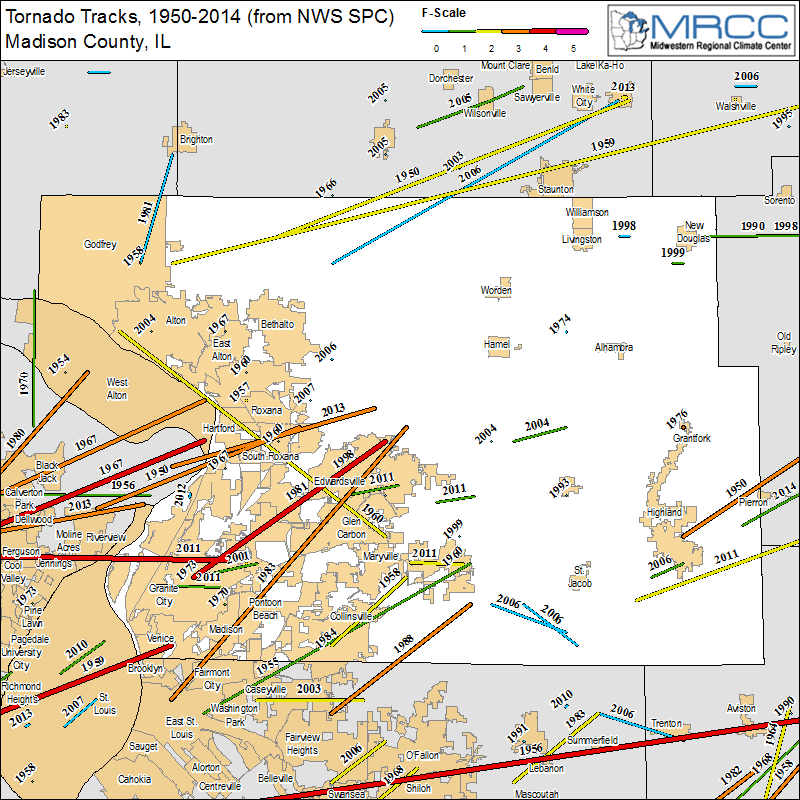 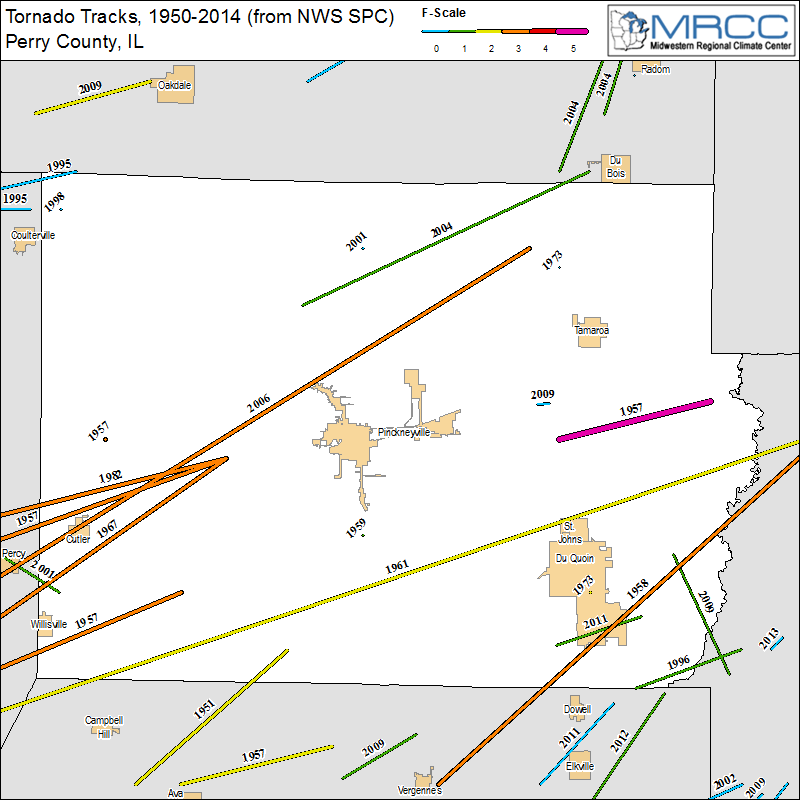 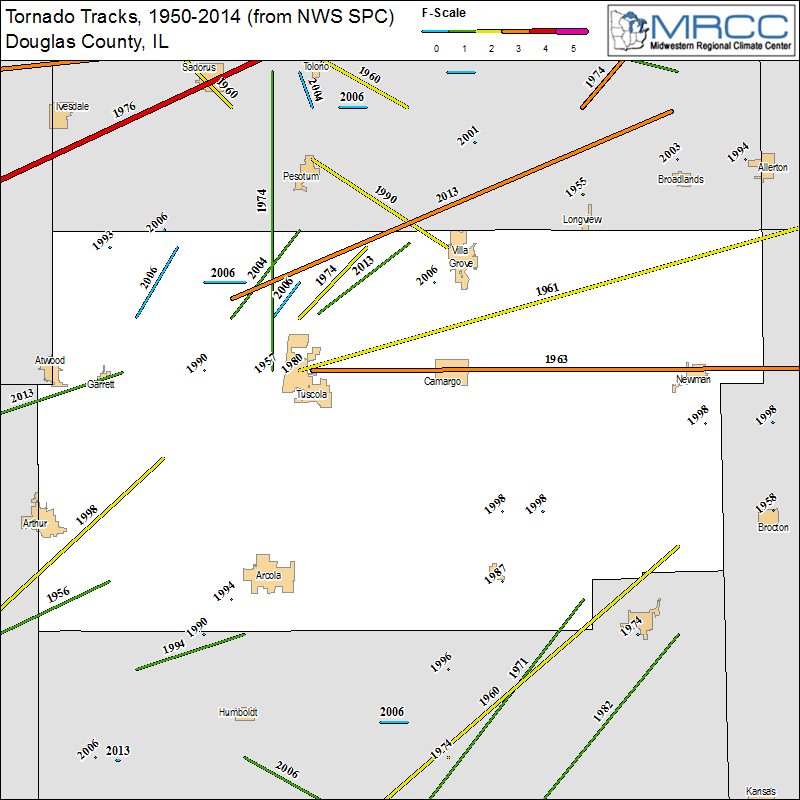 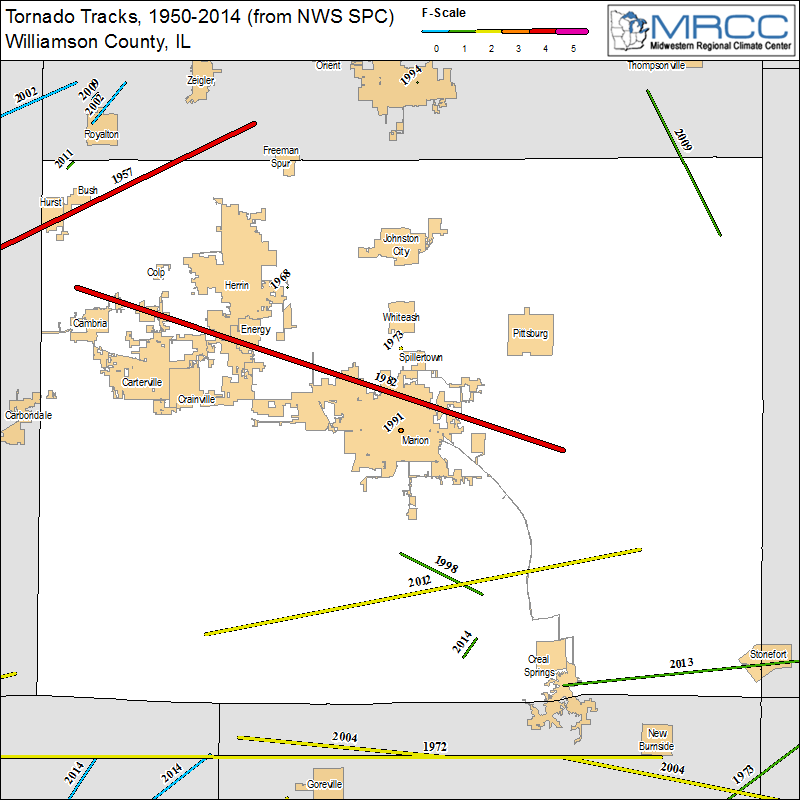 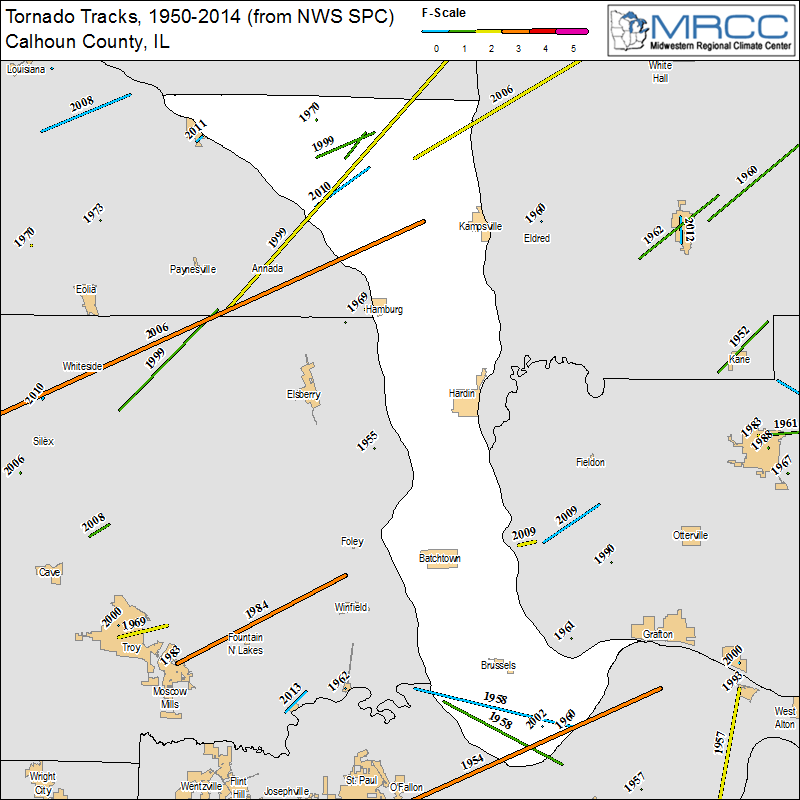 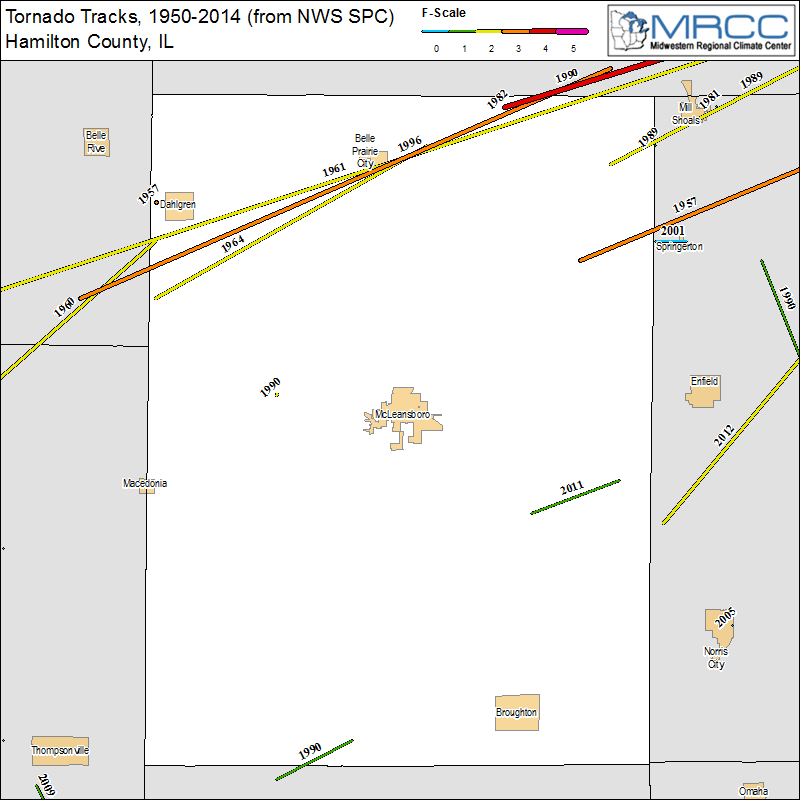 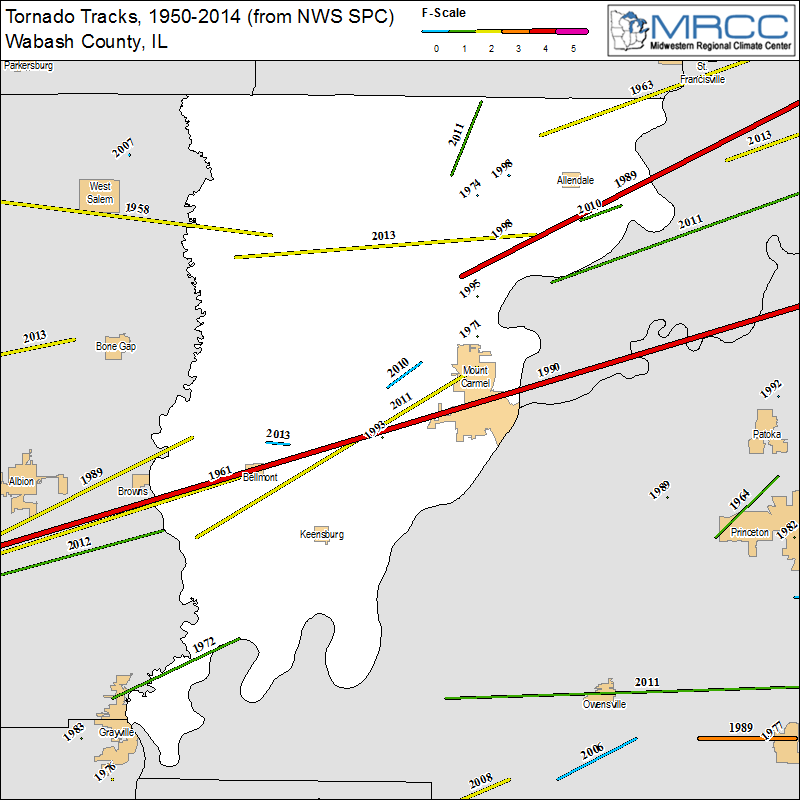 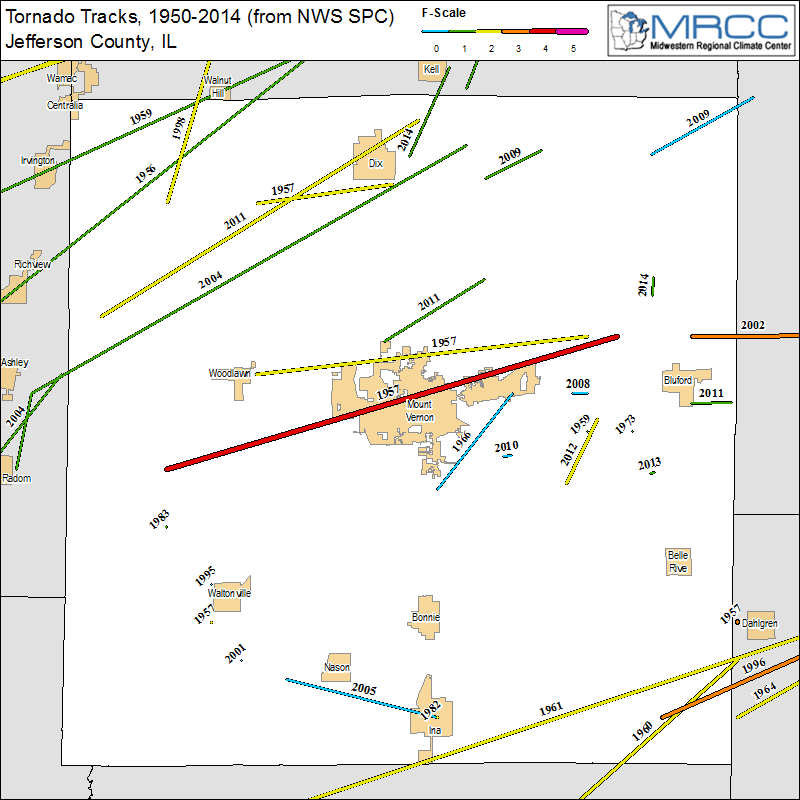 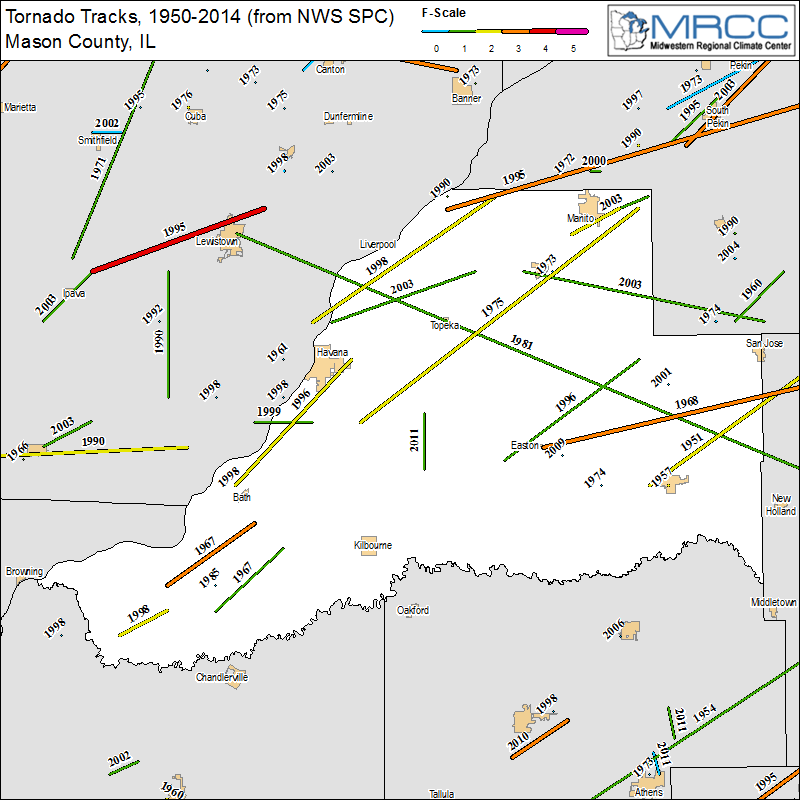 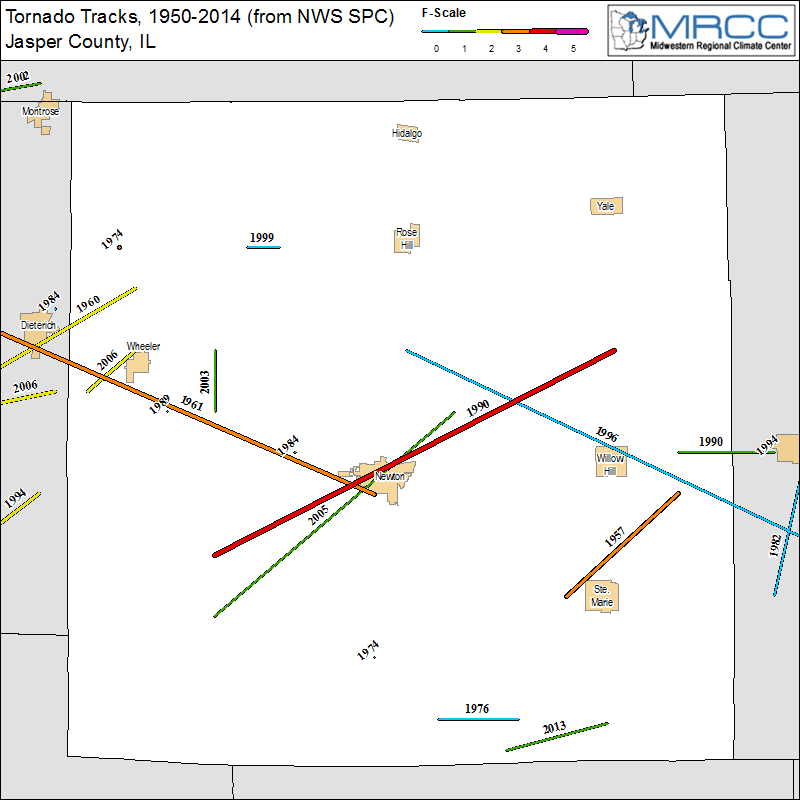 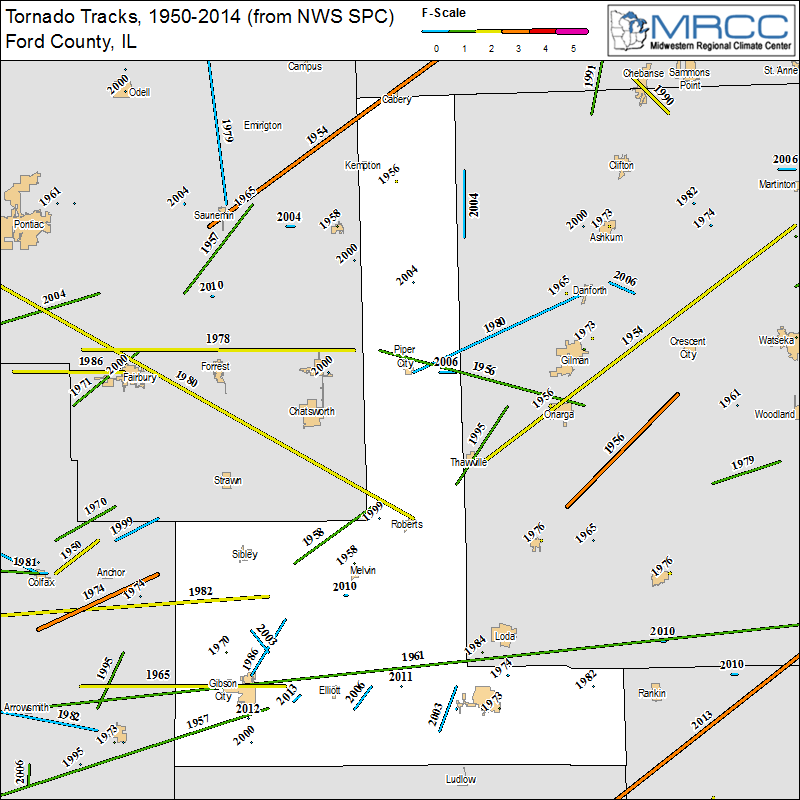 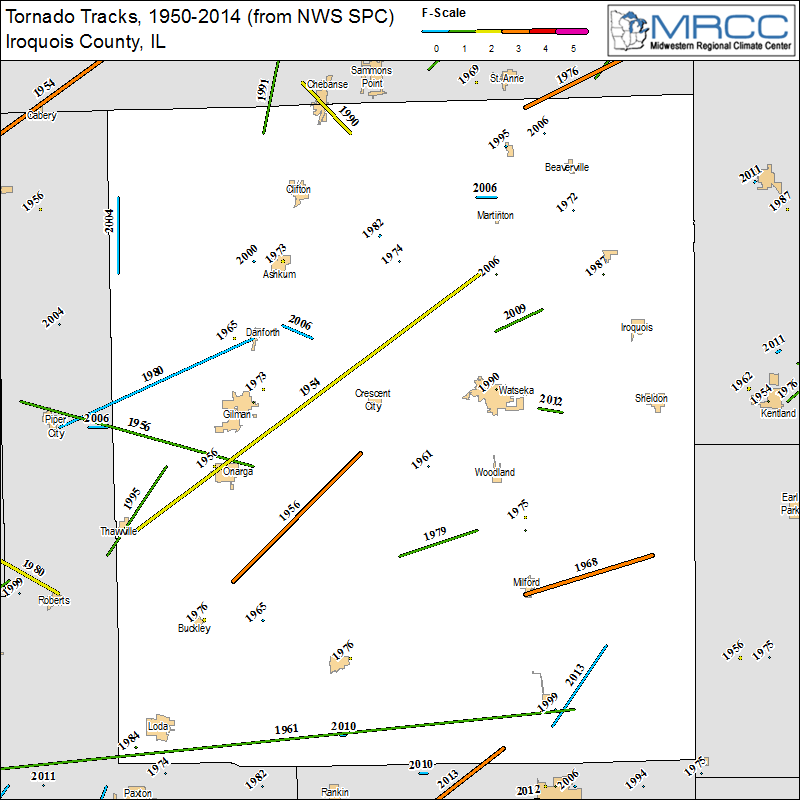 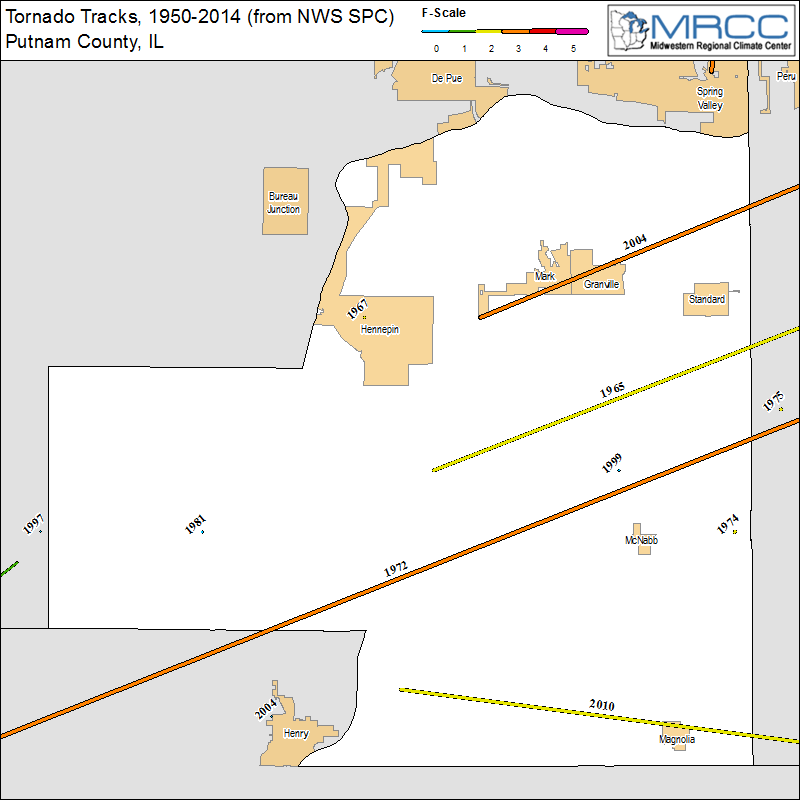 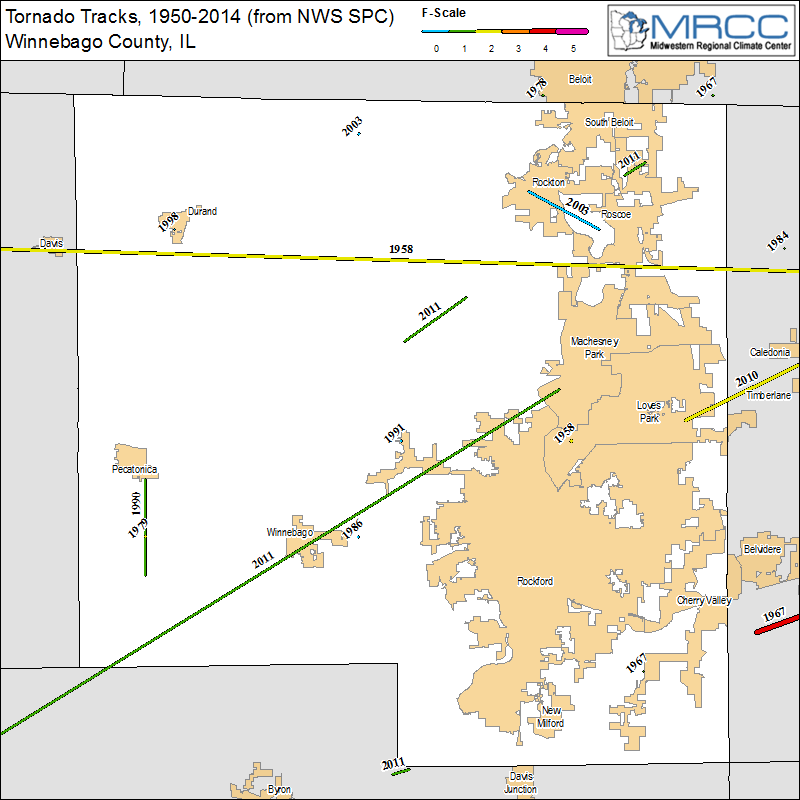 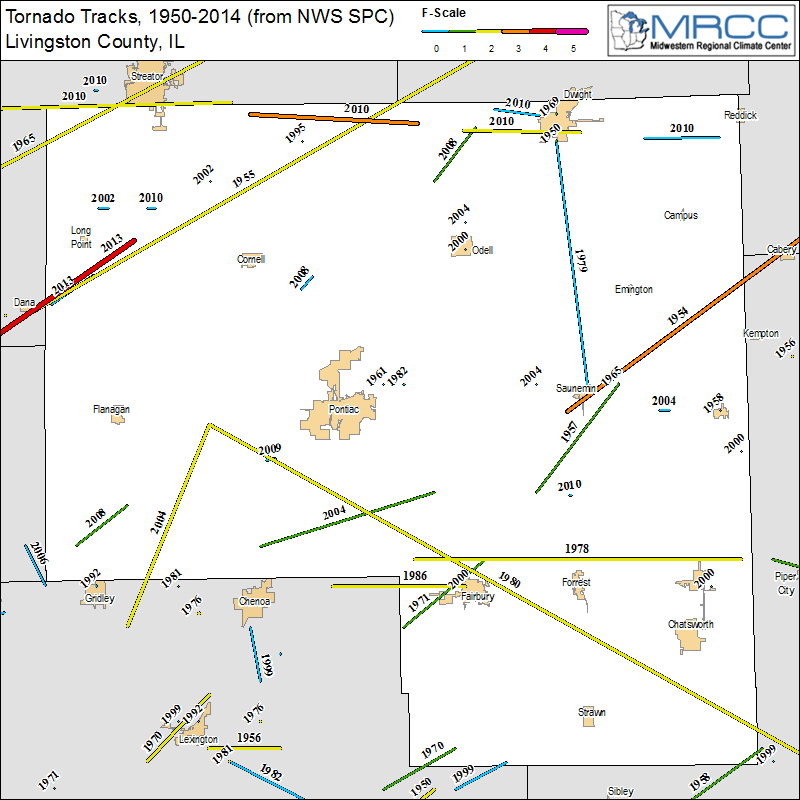 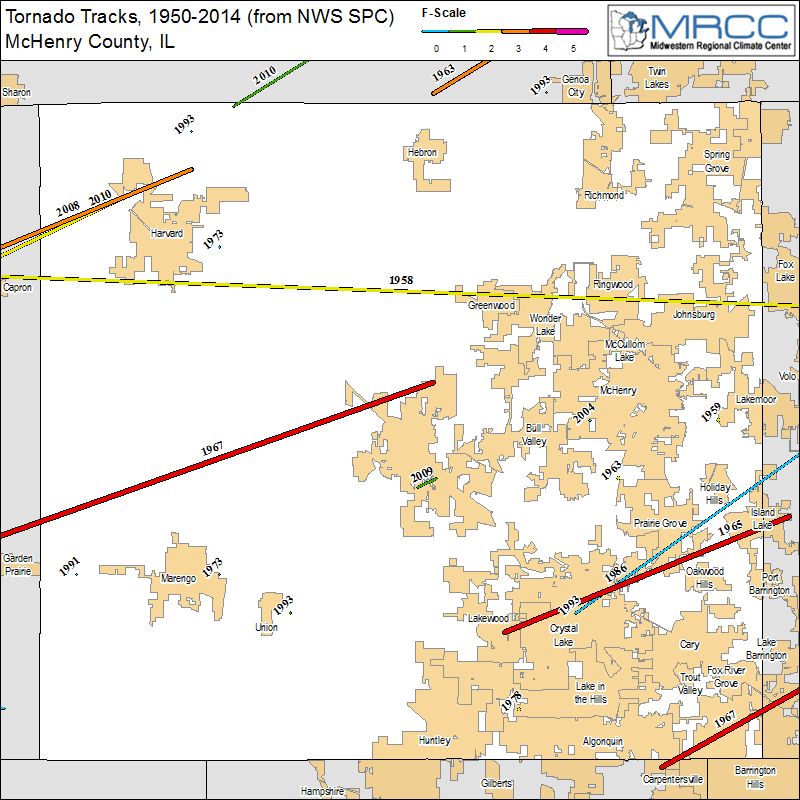 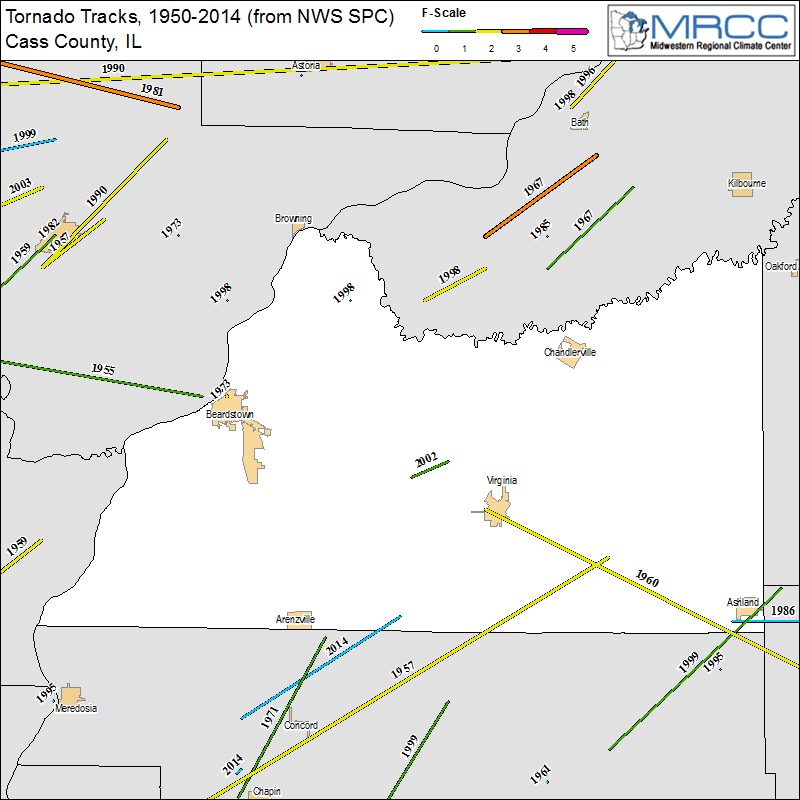 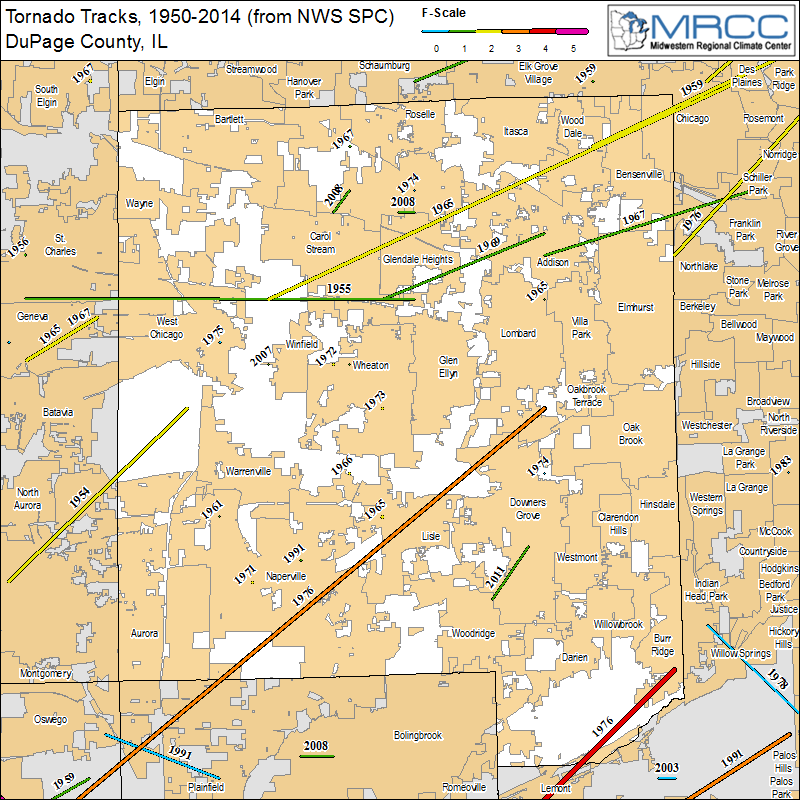 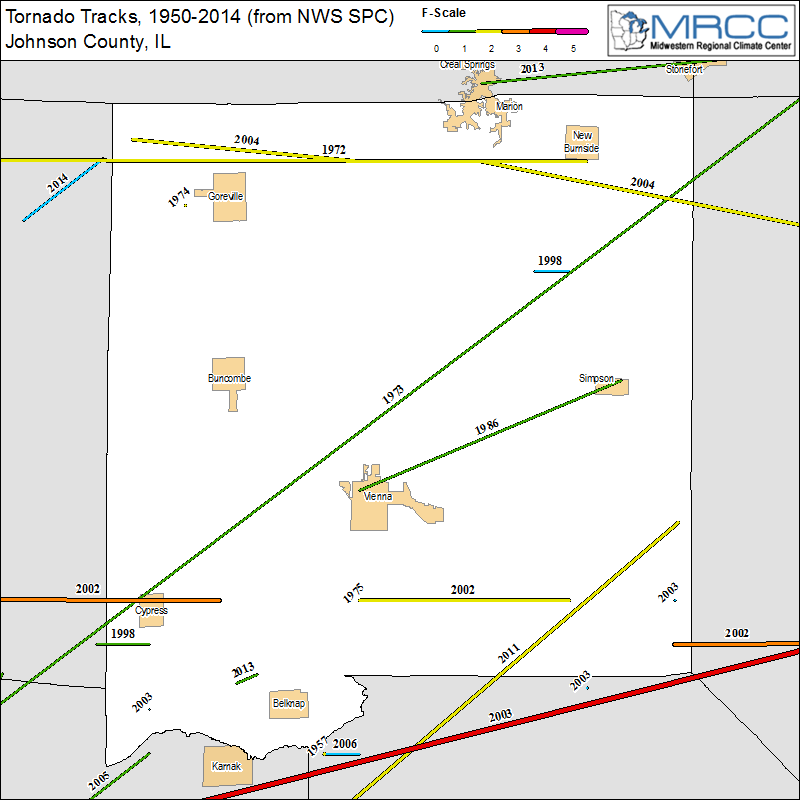 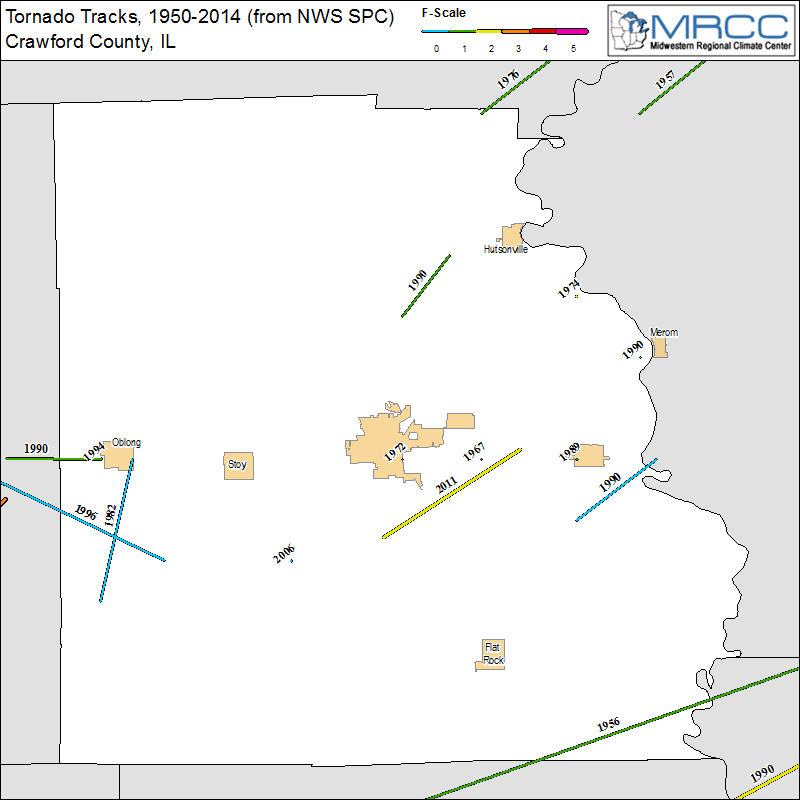 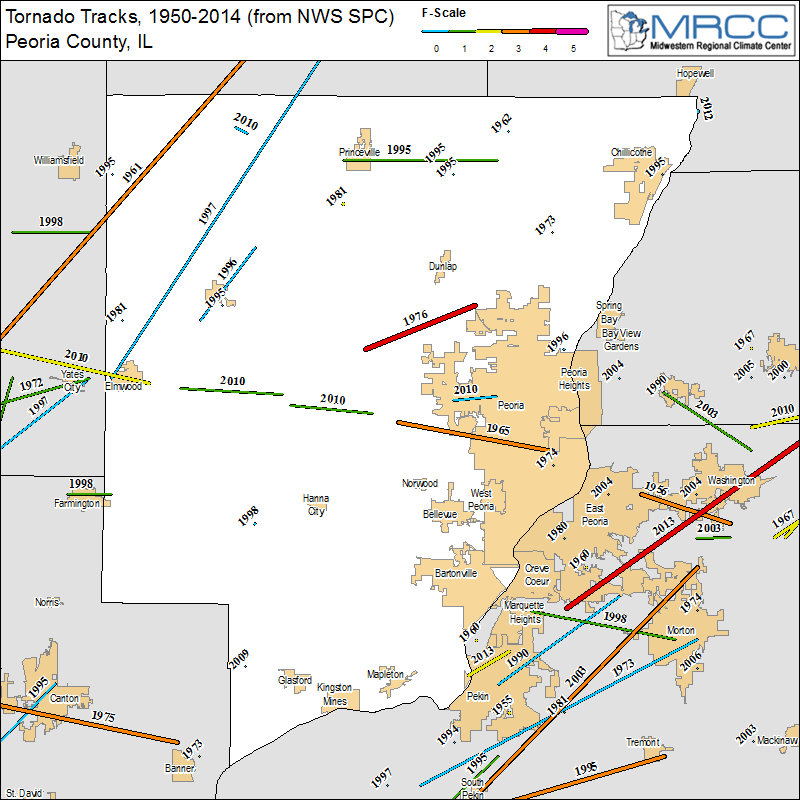 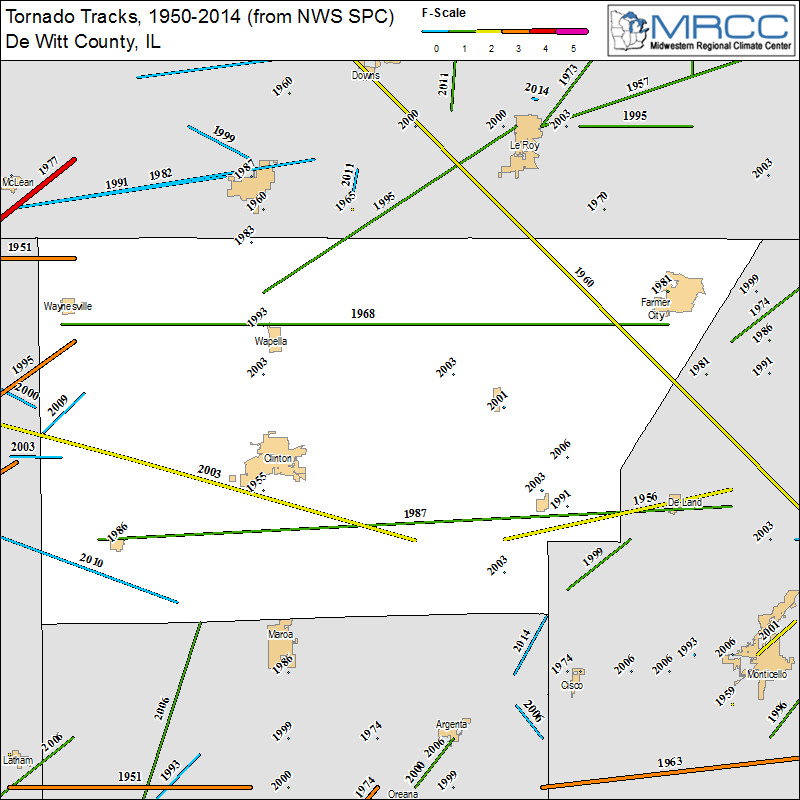 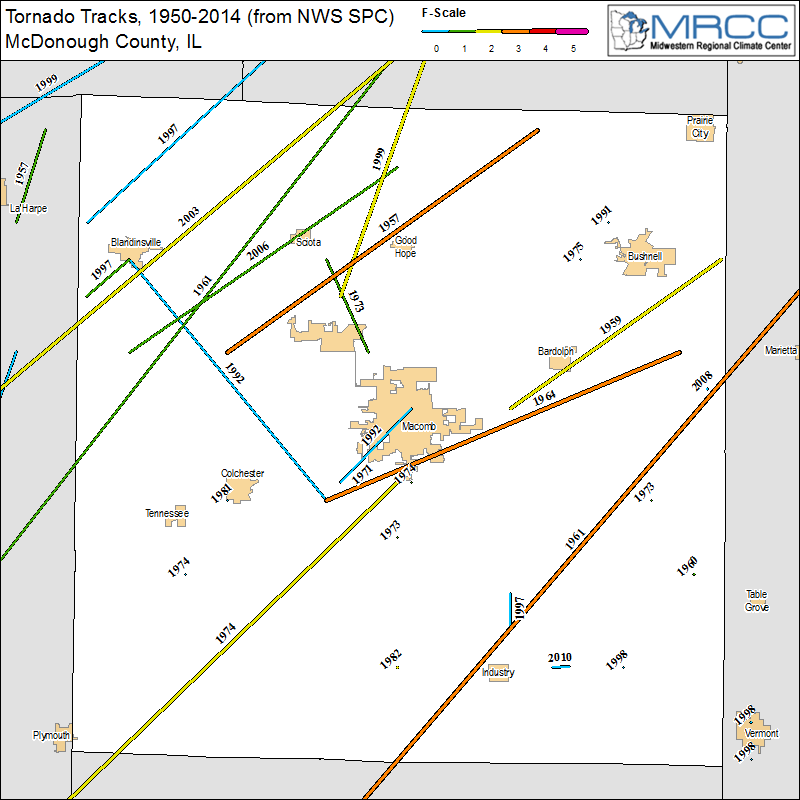 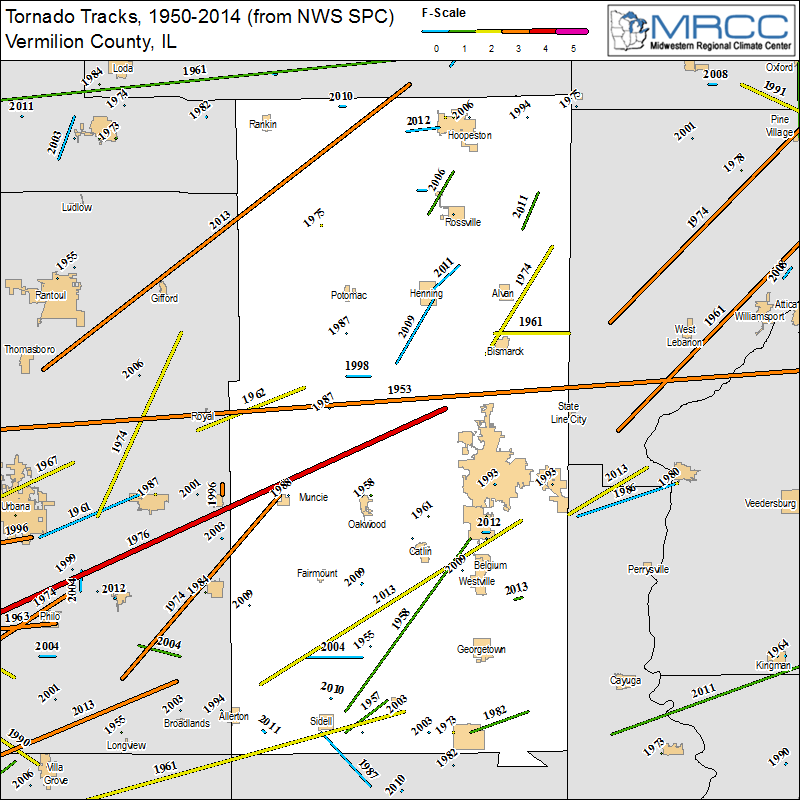 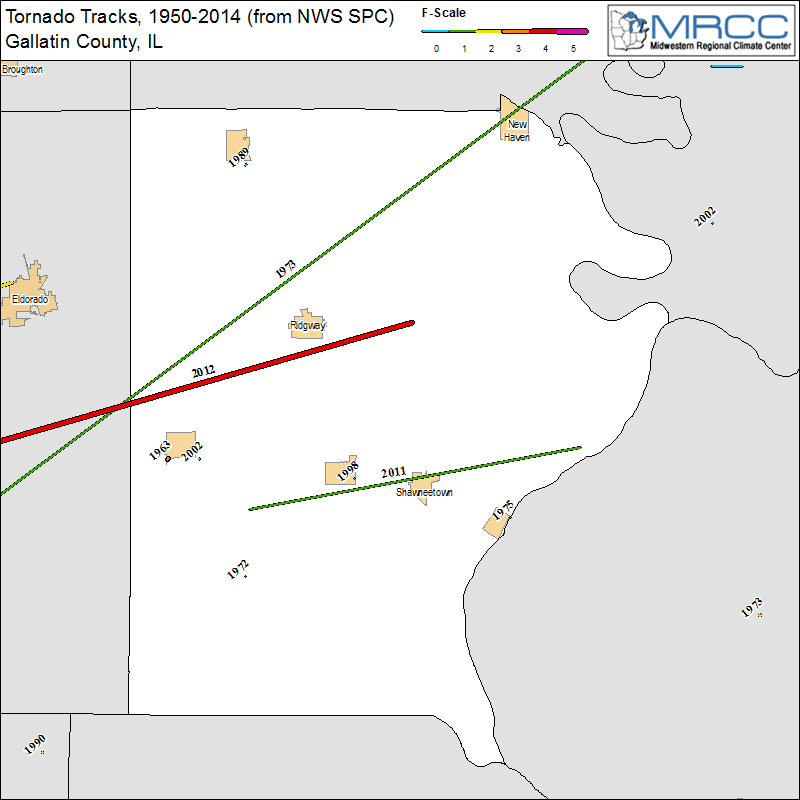 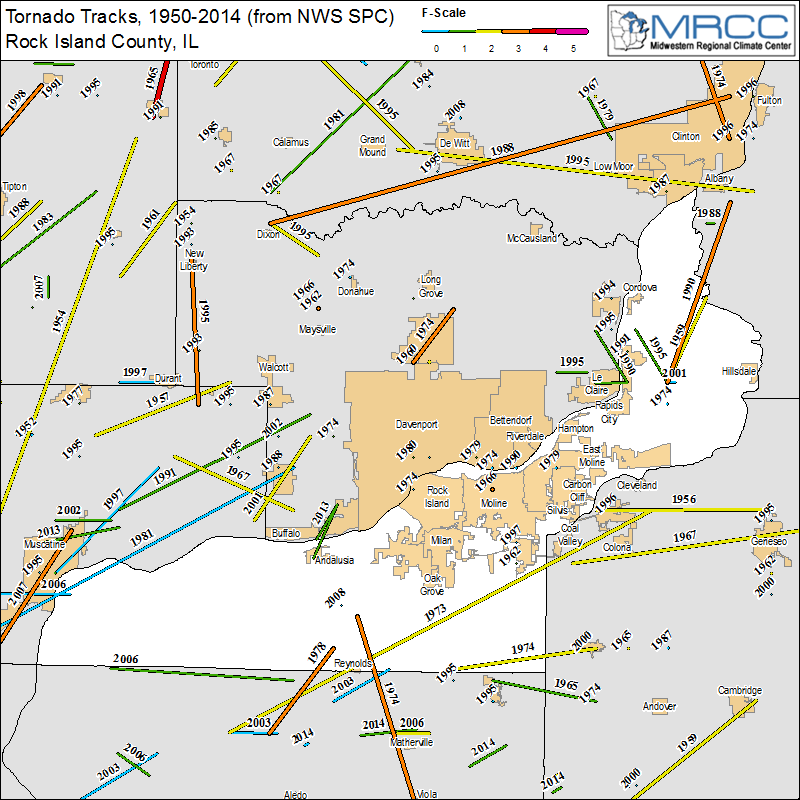 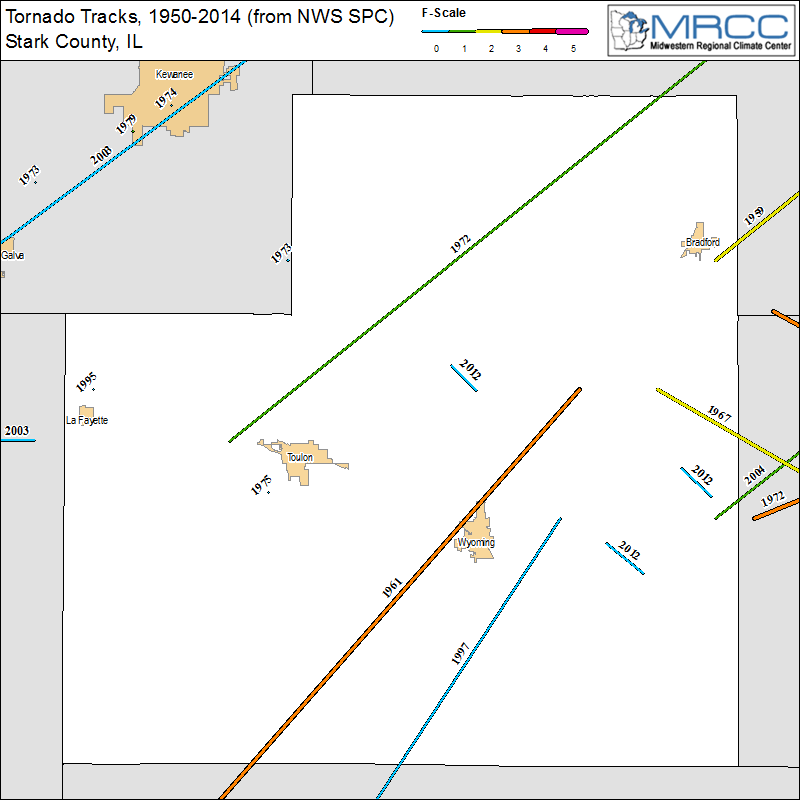 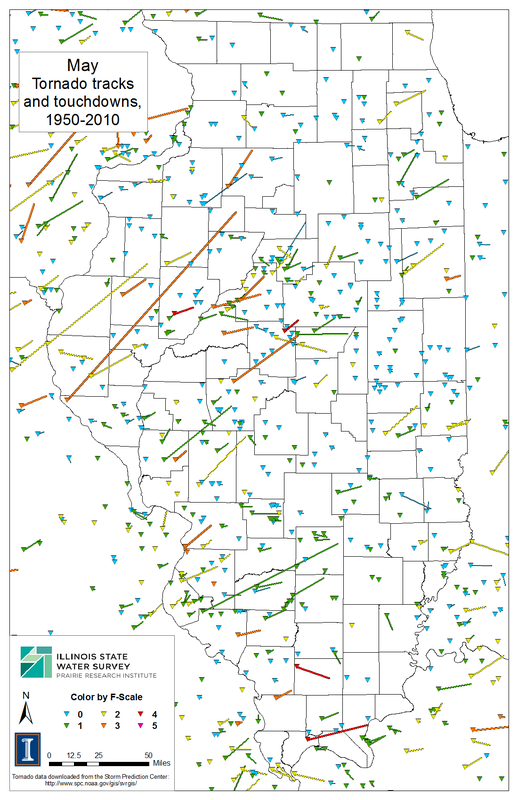 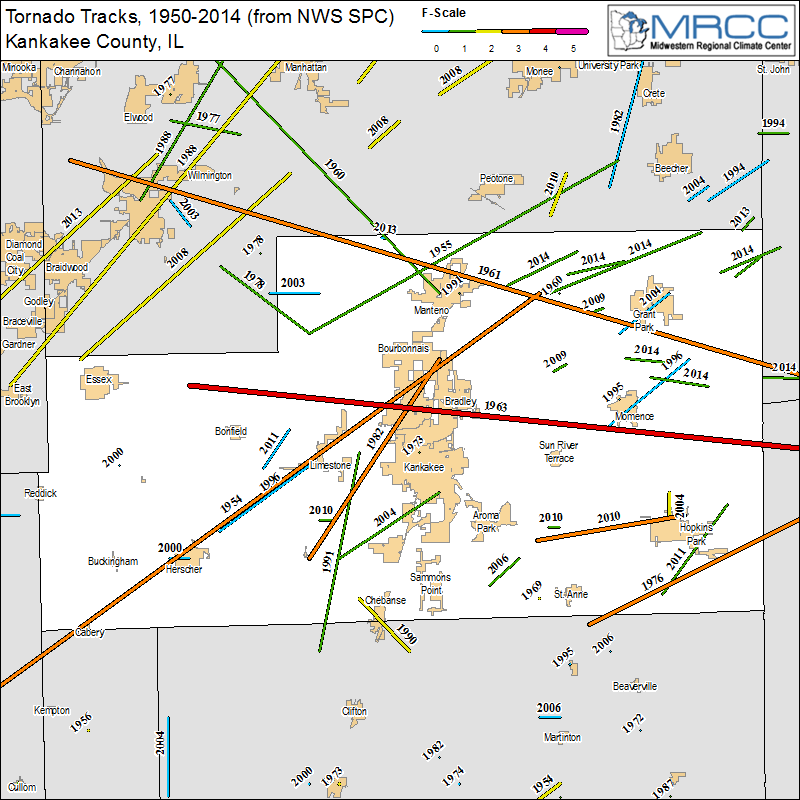 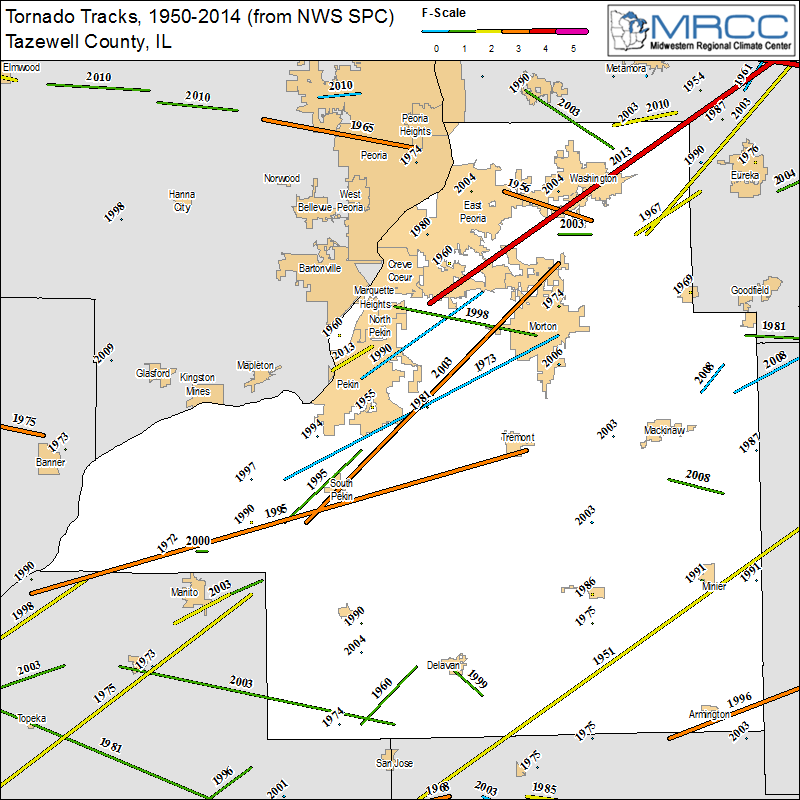 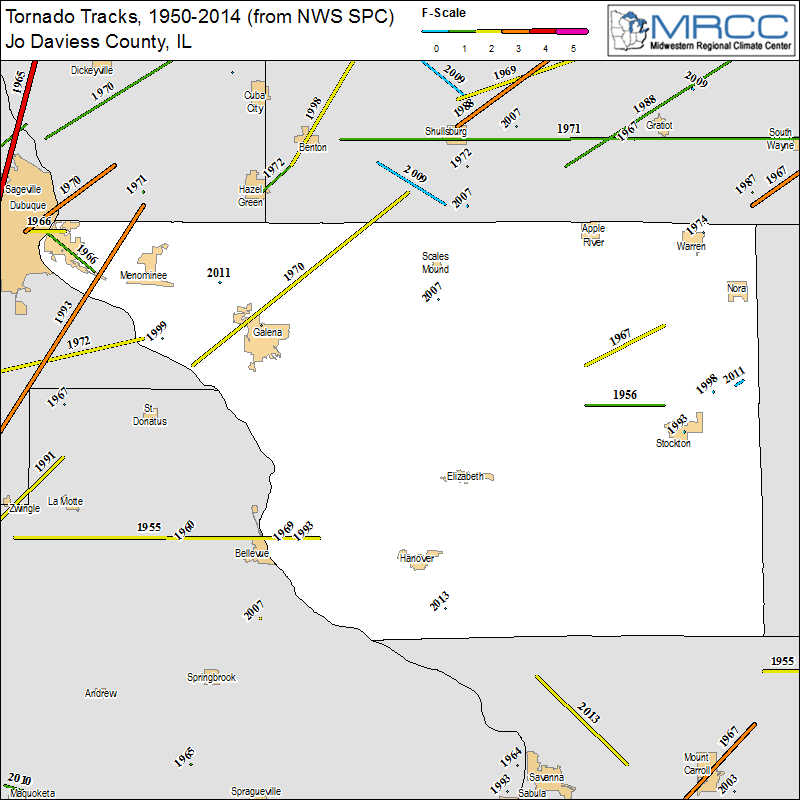 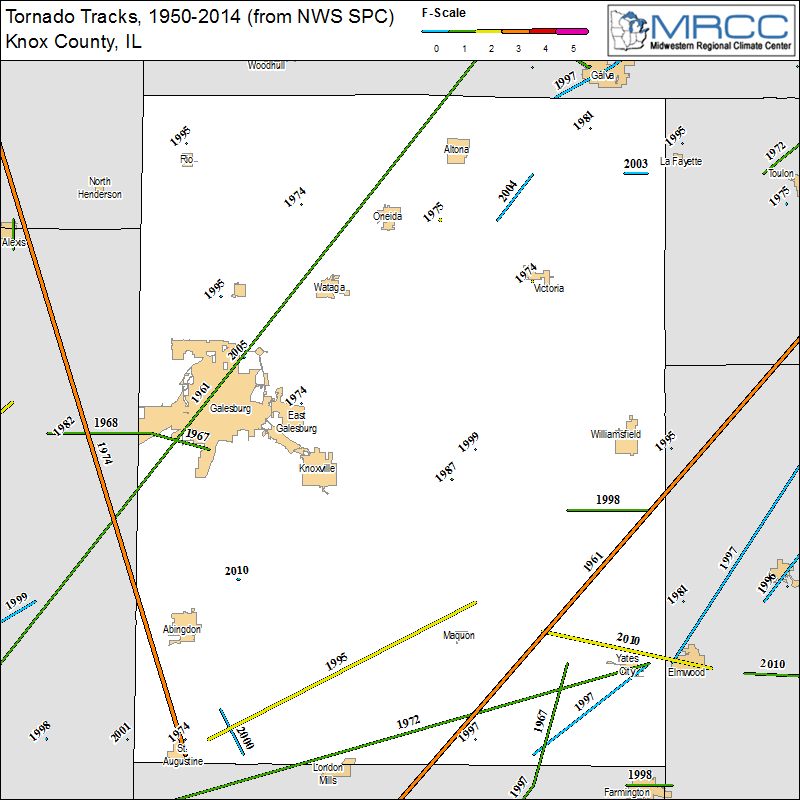 Here are maps showing the geographic distribution of tornadoes across Illinois, each county, and the Midwest for 1950-2010. 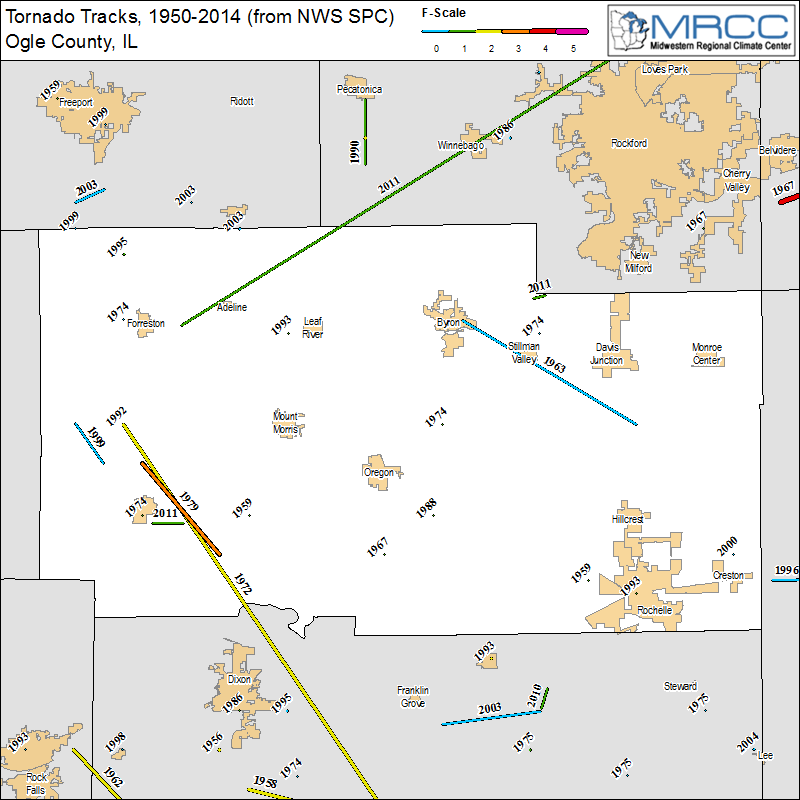 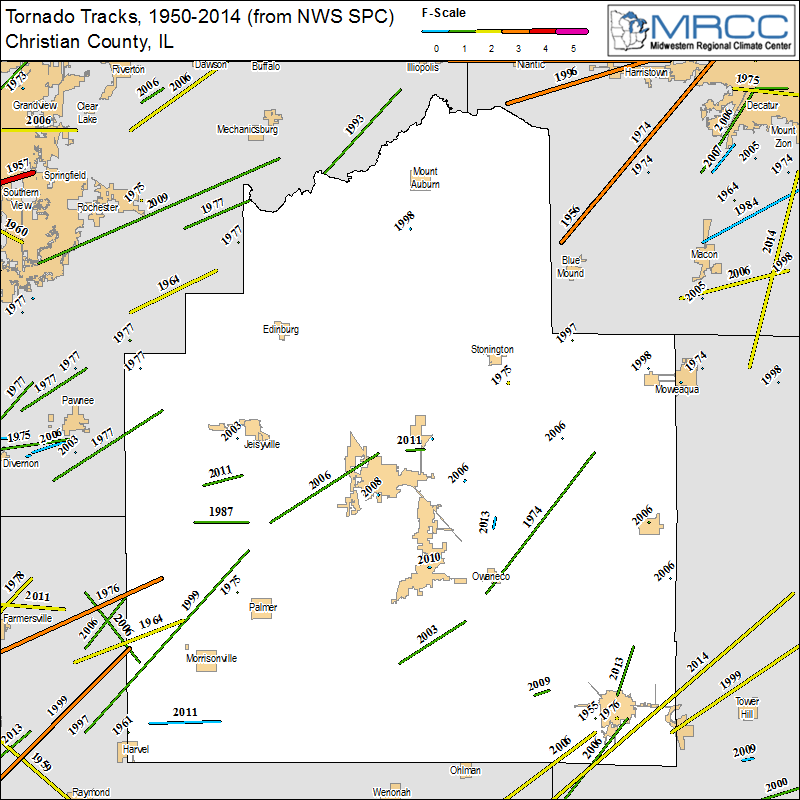 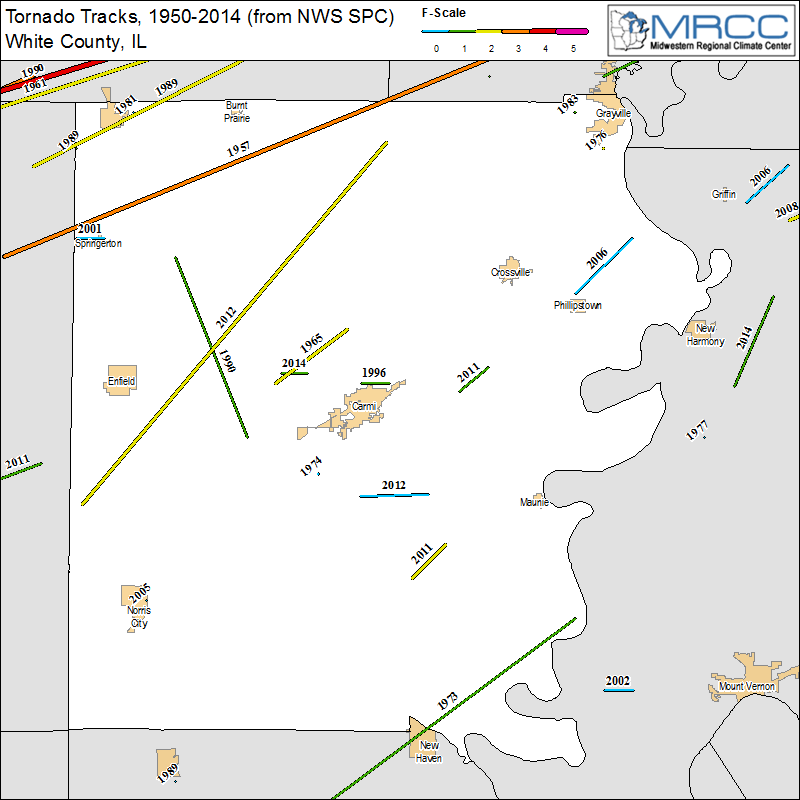 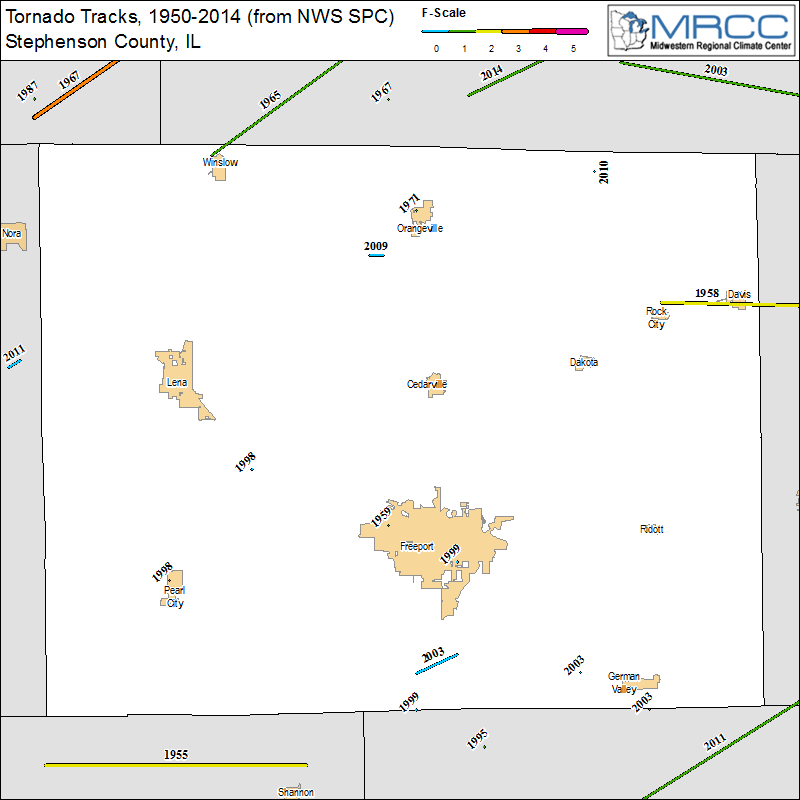 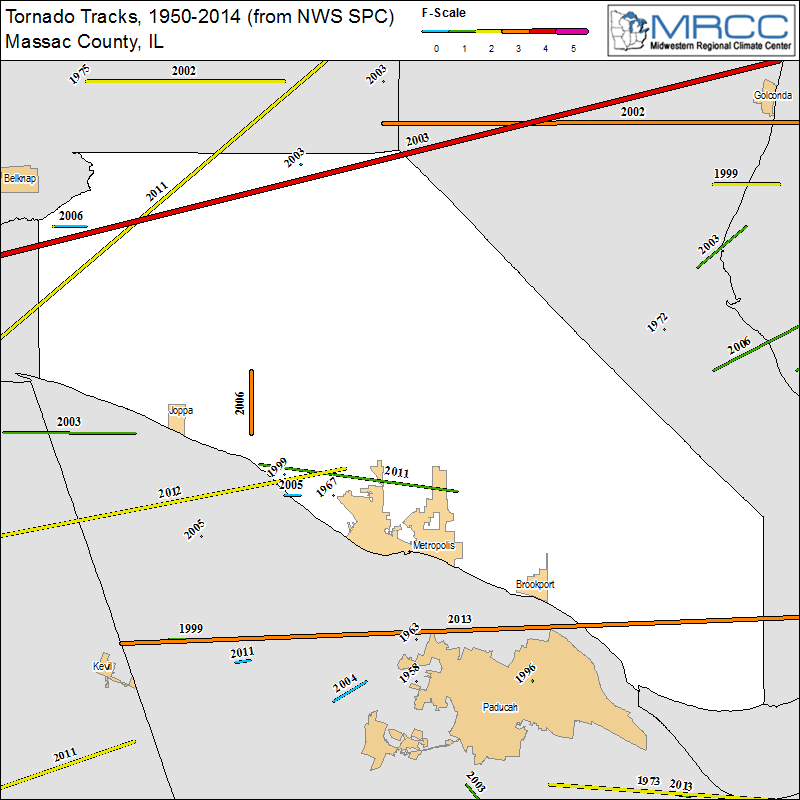 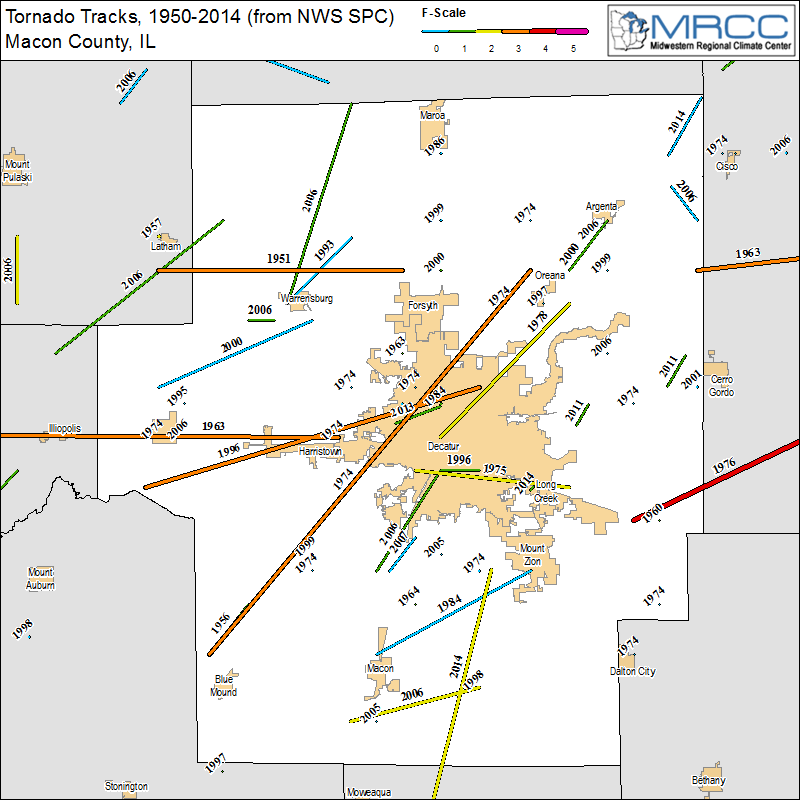 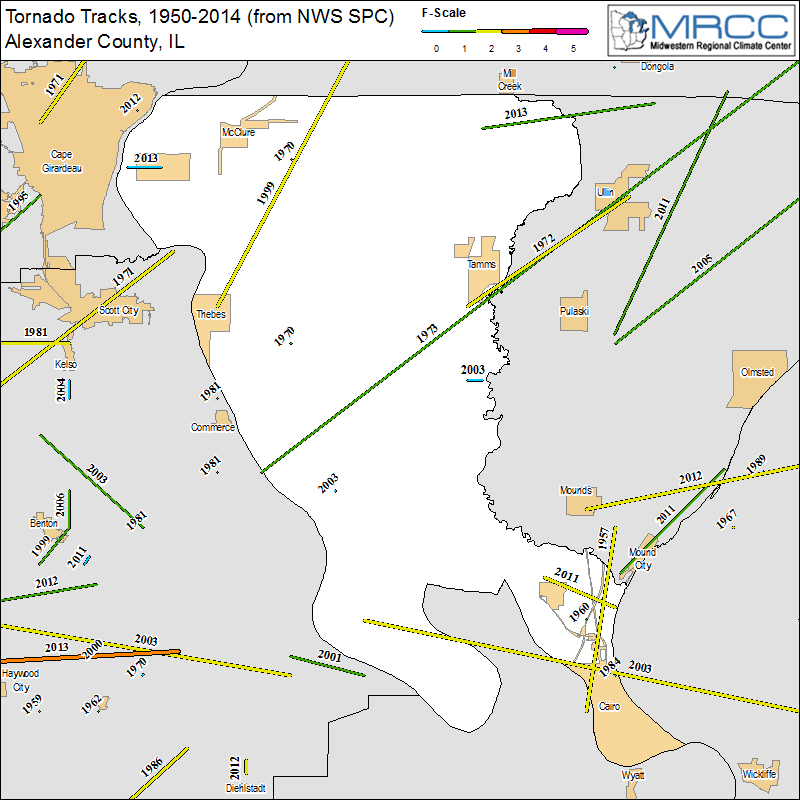 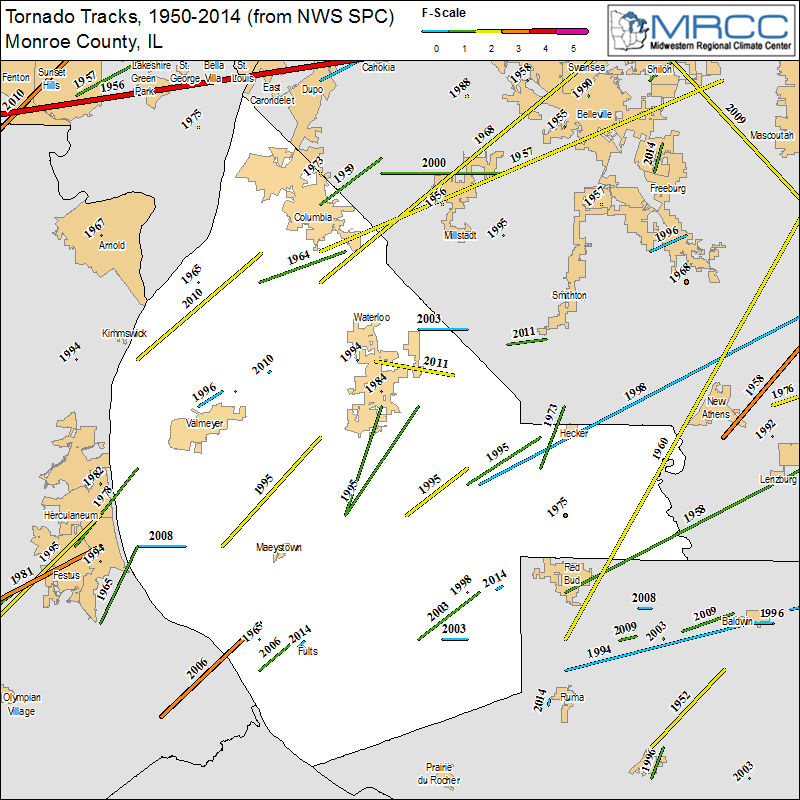 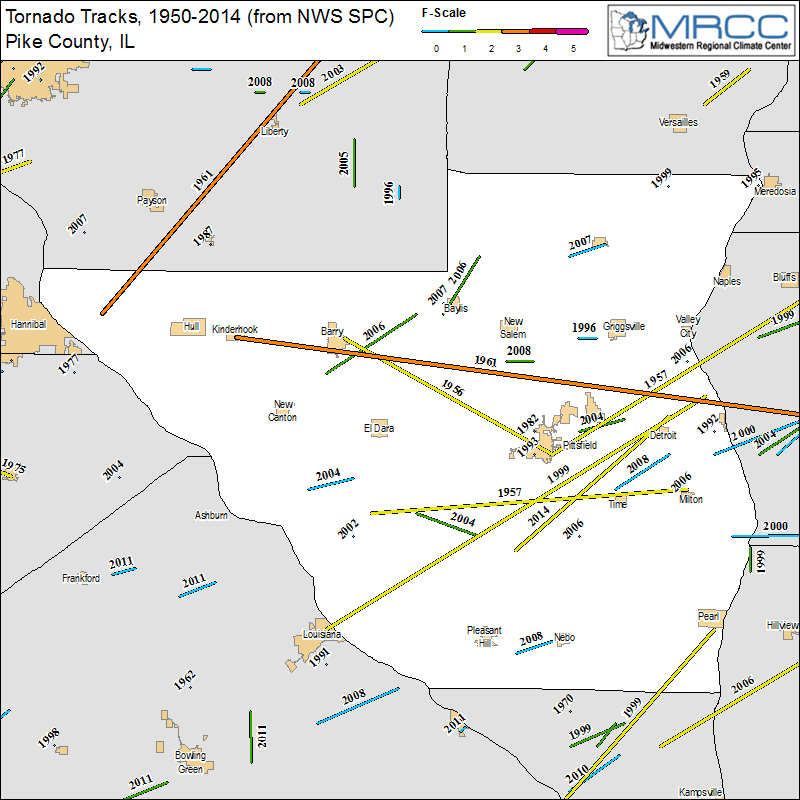 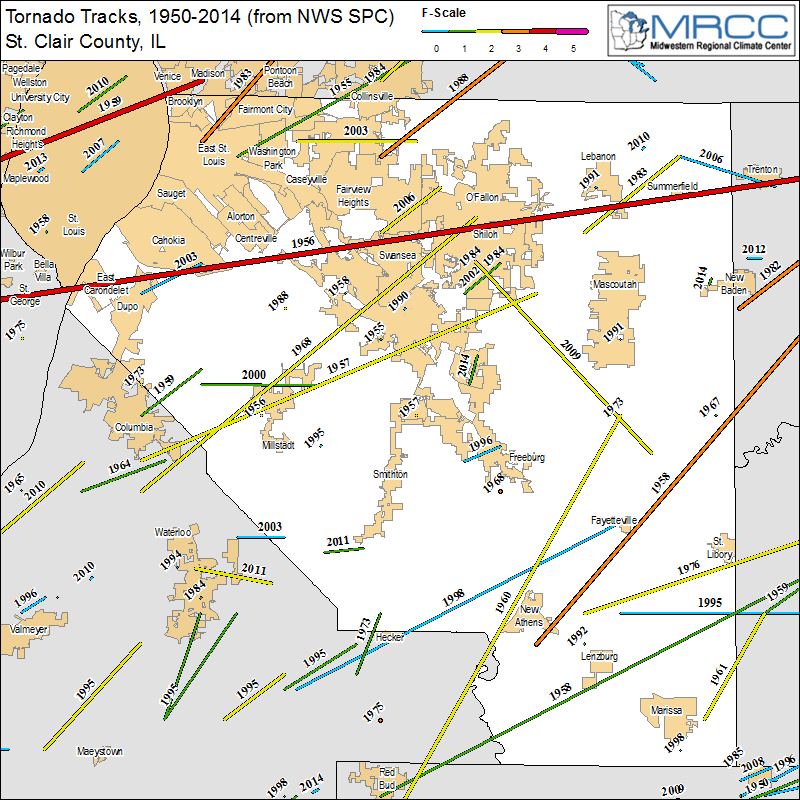 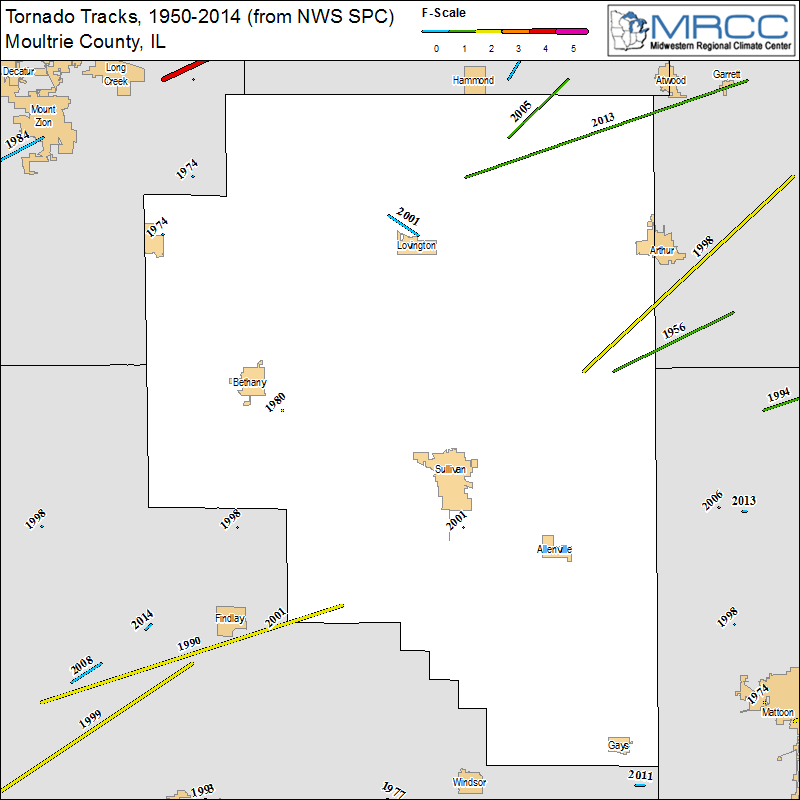 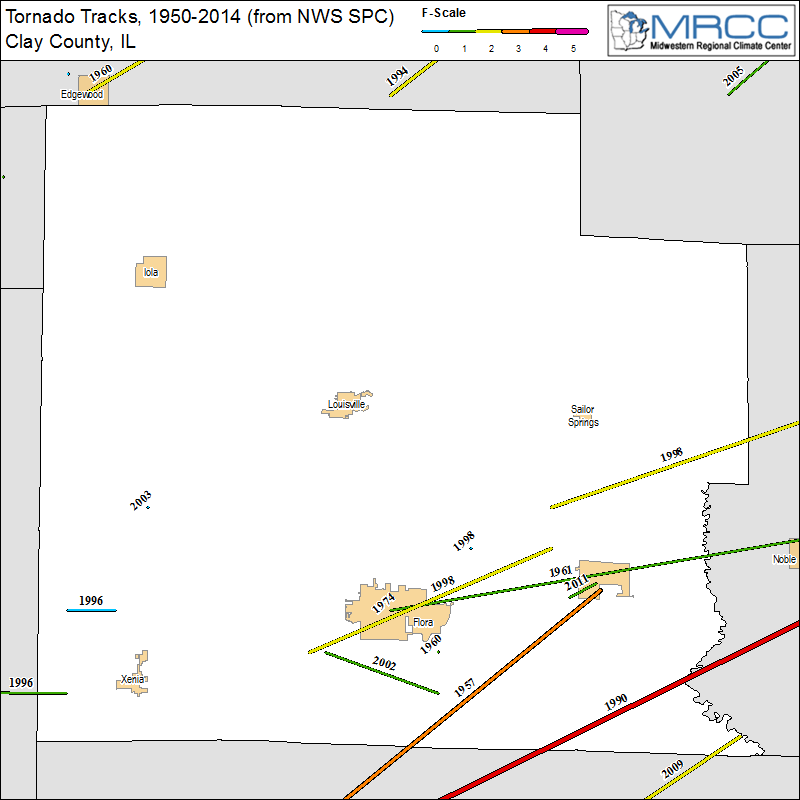 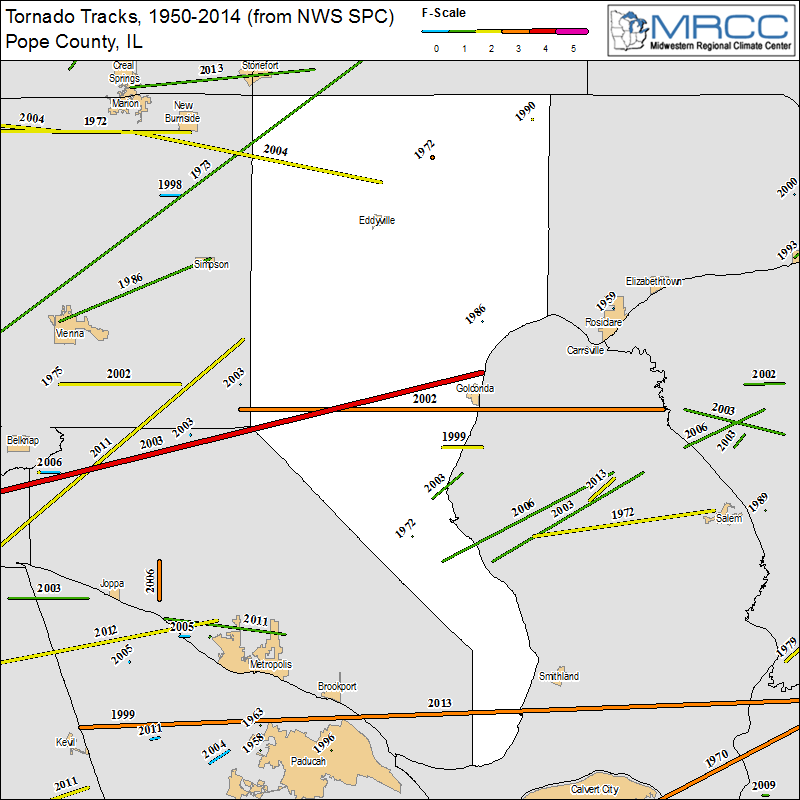 The data were obtained from NOAA's Storm Prediction Center and mapped using ArcGIS. 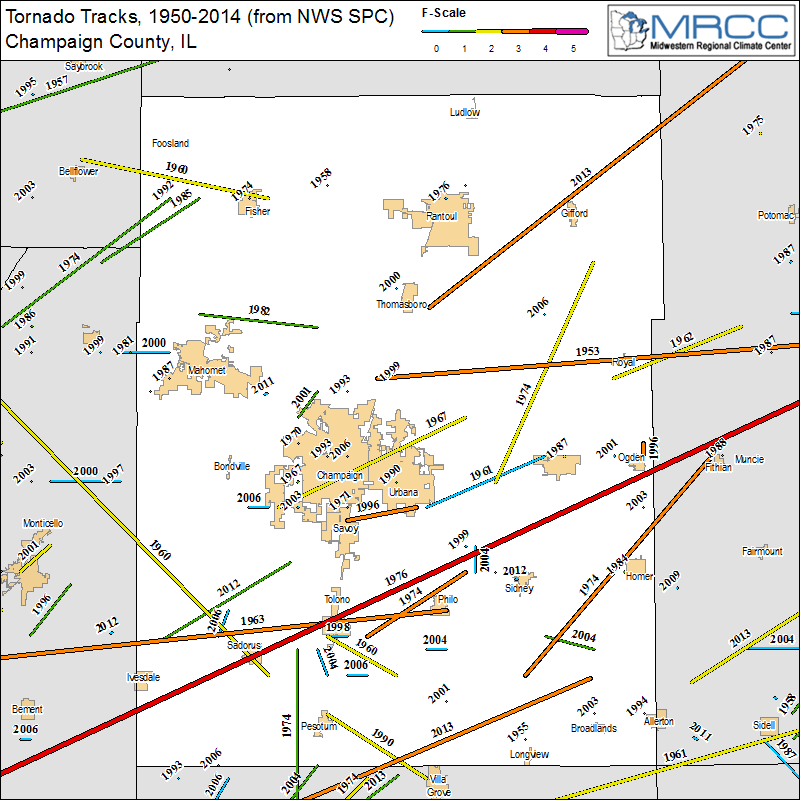 NOAA's Storm Prediction Center has detailed annual/monthly reports of severe weather from 2000 onward. 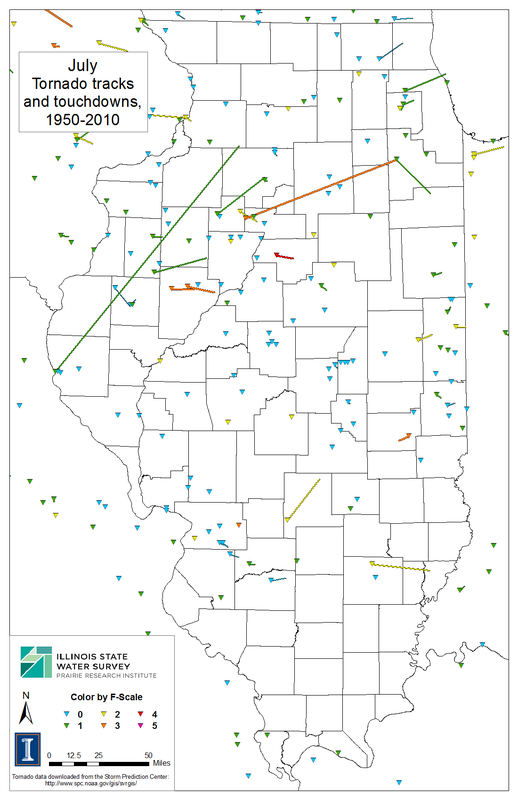 The Midwestern Regional Climate Center has an interactive GIS mapping tool as well.